new book is out and ready for orders! 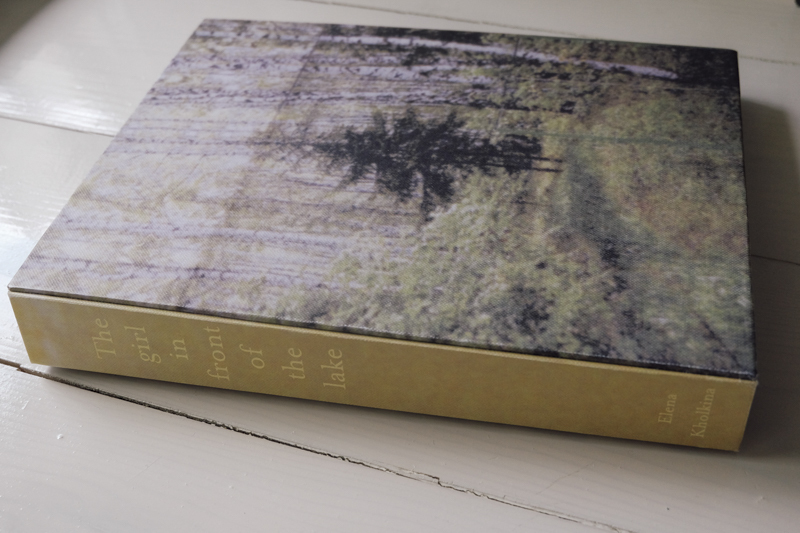 "The girl in front of the lake" - only 35 artist editions, fully handmade. more info here. Spondance - collab project, check out here for more details. 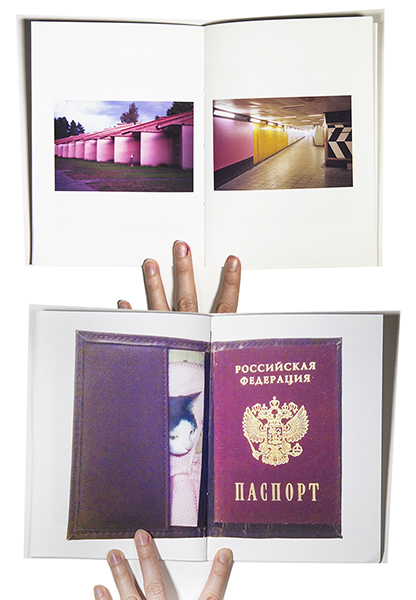 NEW book is now available, a collaboration with Olga Alexeyenko. Please see all the details here. 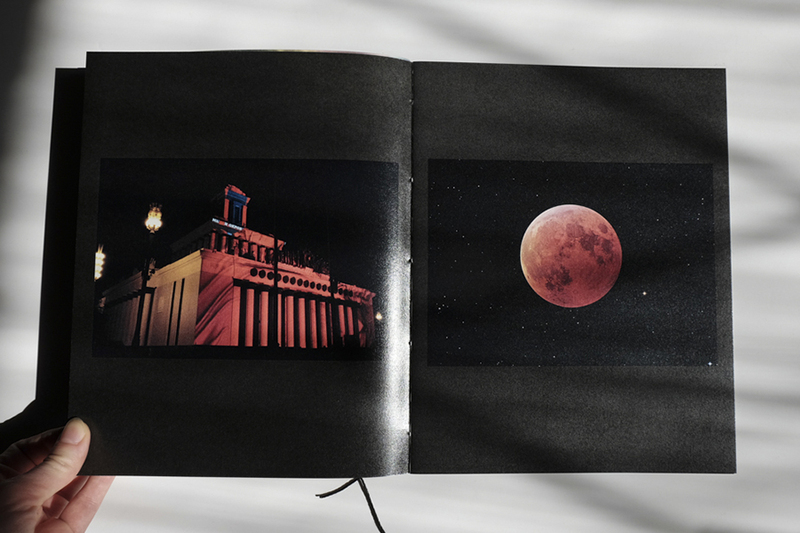 Multimedia about my project Time of the Moon (photographs that were created during a series of nightly photographic projections I did during 6th Moscow biennale of contemporary art in September 2015 and a photobook that was built on that material). 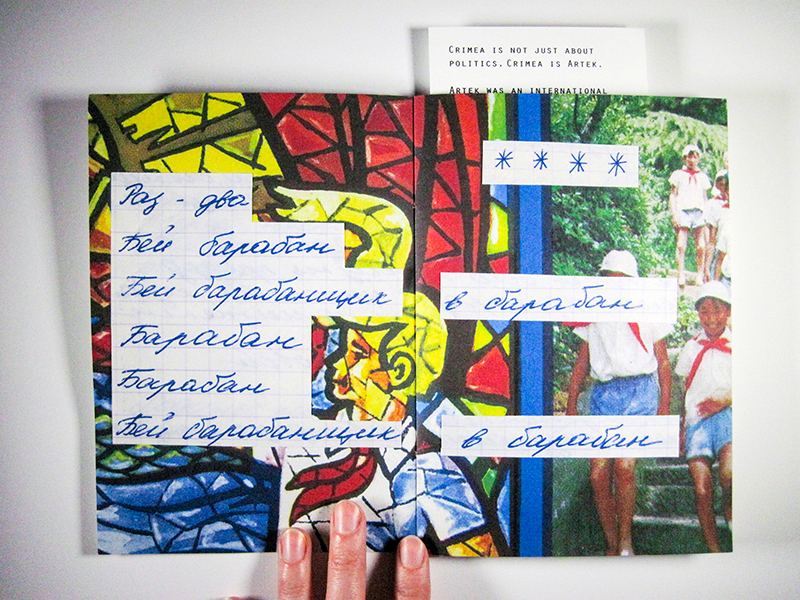 happy to present new book - collaboration with Svetlana Kastyukevich. 100%withDOG - limited edition of 50 copies. Book+Print option is now available for 6 books! 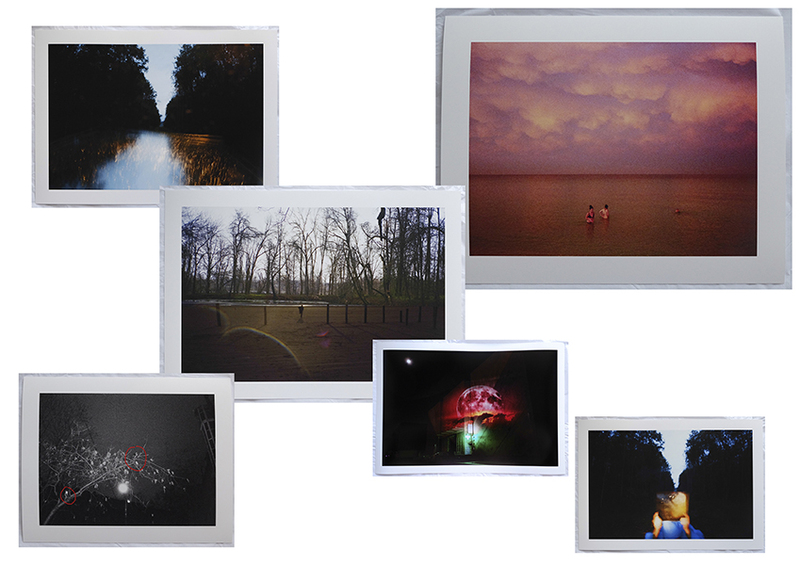 Each print is limited edition of 2-5 copies, signed and numbered. Time of the Moon, Your cat, Pink, Doorways, 5 Hills Story, Did we ever meet? new book is out, please welcome - Time of the Moon. 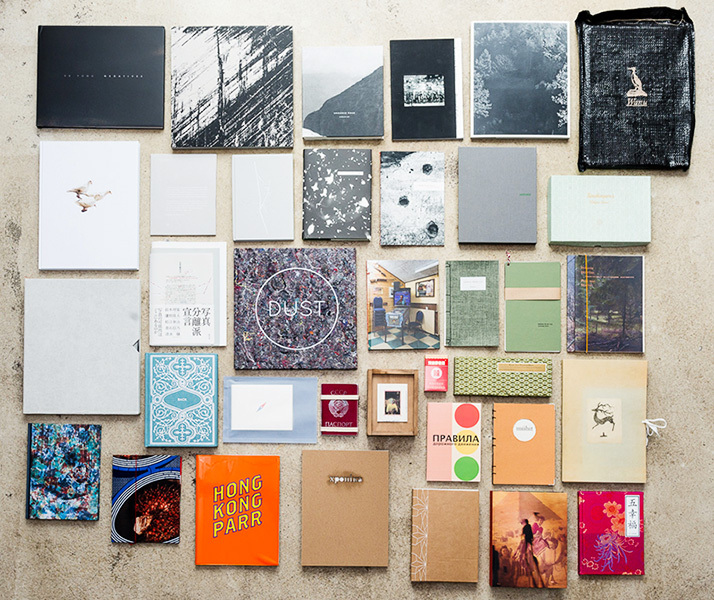 as always, limited edition, handbound etc. all the infos here. 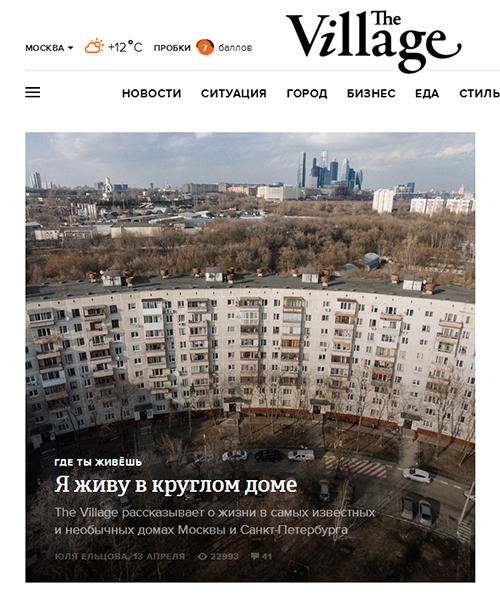 I talk about Bedsheet project with The Village, thank you Sergey Babkin! 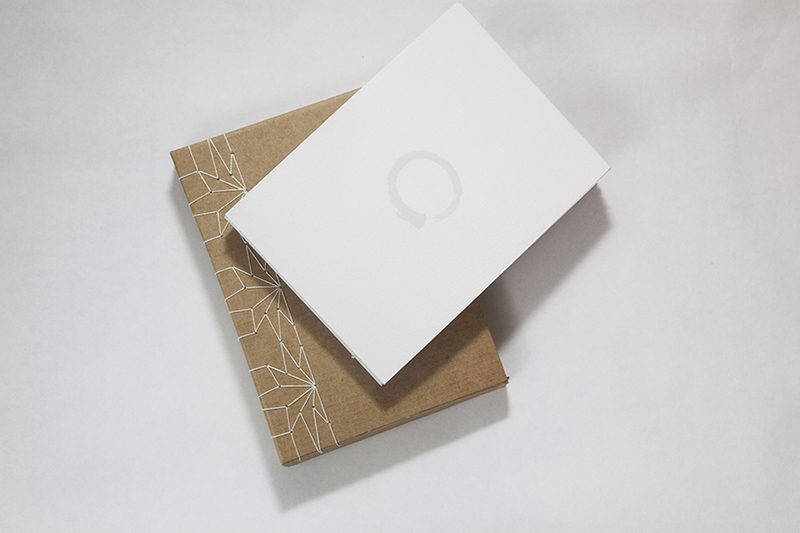 special edition of 10 copies of Doorways - in white sturdy box - is now available. all info here. 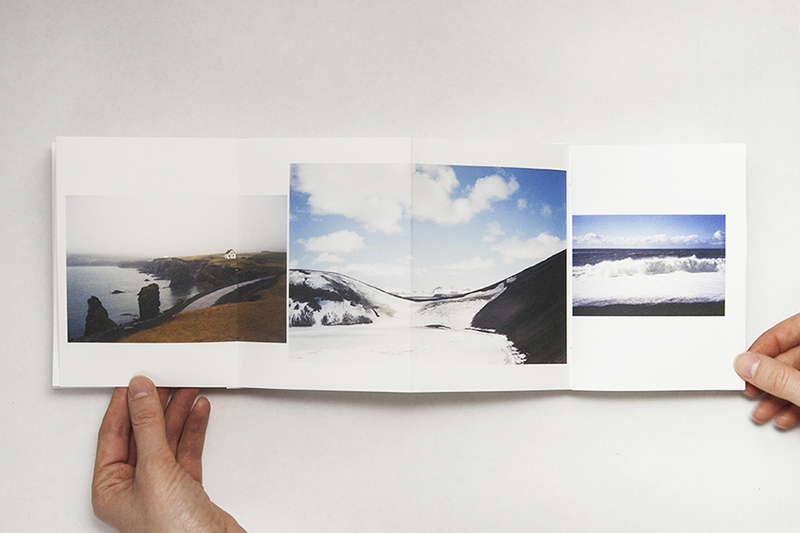 new series of self-published zines by Vlada Krasilnikova and myself. all info here! with many books by Russian authors, including us at Russian Independent Self-published! 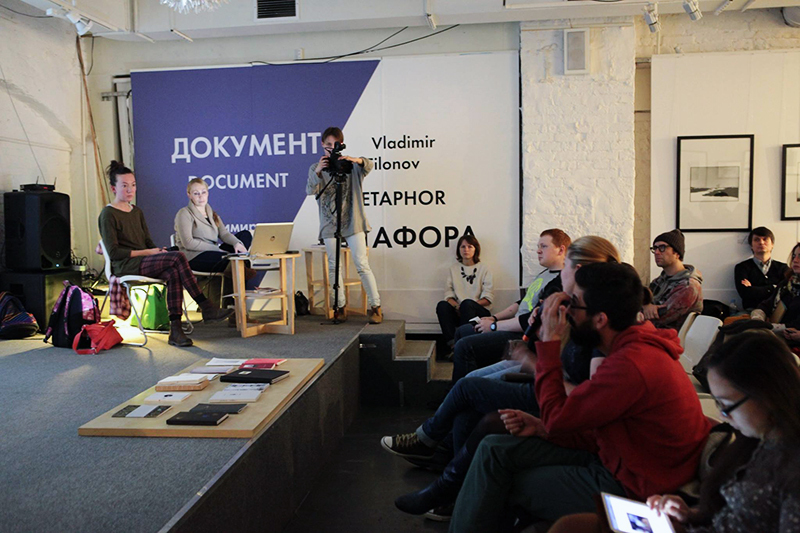 we @ Russian Independent Self-published ran a photobook-making workshop in Moscow. was great, new group coming soon - pls register here. 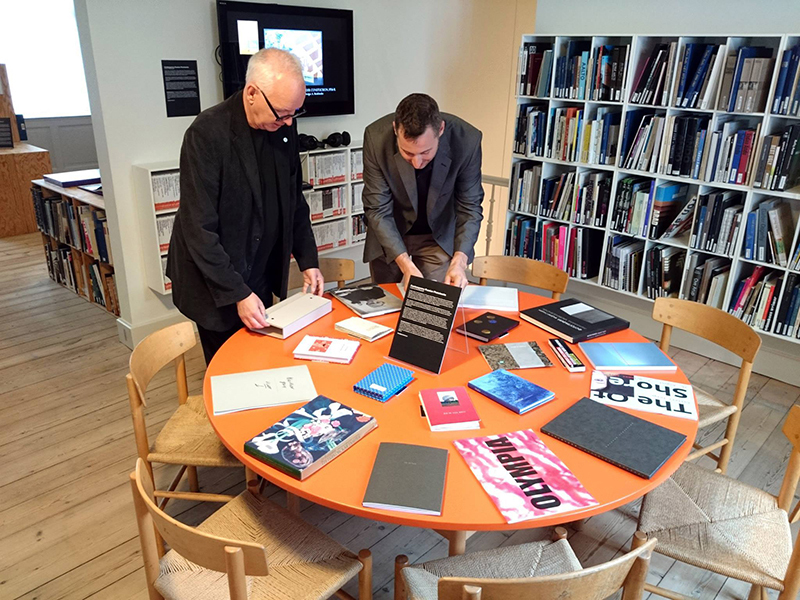 Seasonal offer - free worldwide delivery - on 3 books - Doorways, Artek and Did we ever meet?, before 1 Jan 2016. Please mail me to order :) Happy holidays! thanks to passion and efforts of Jose Maria Gonzalez! 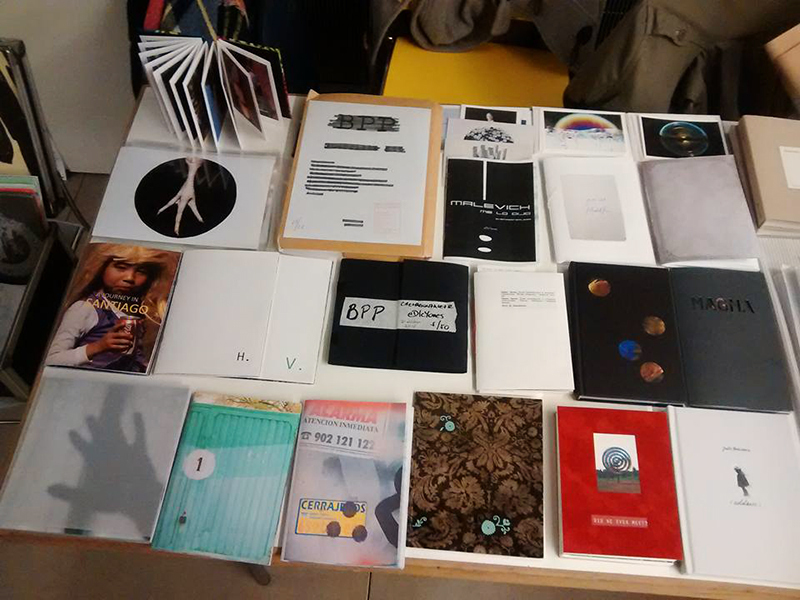 Russian Independent Self-published books are taking part in two book fairs this weekend - Smena book fest in Kazan is one! 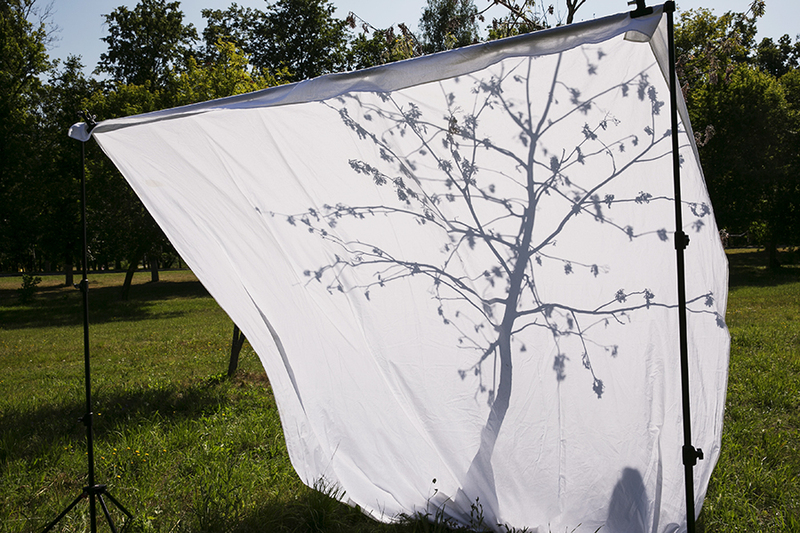 Simonetta Sandri has published an article on my project Bedsheet in Ferrara Italia. 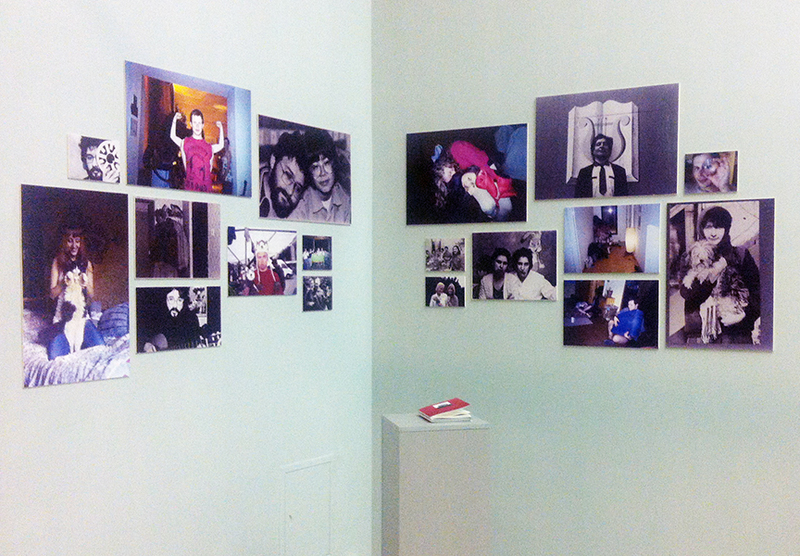 The exhibition is on view in ГЭС-2 Moscow till April! 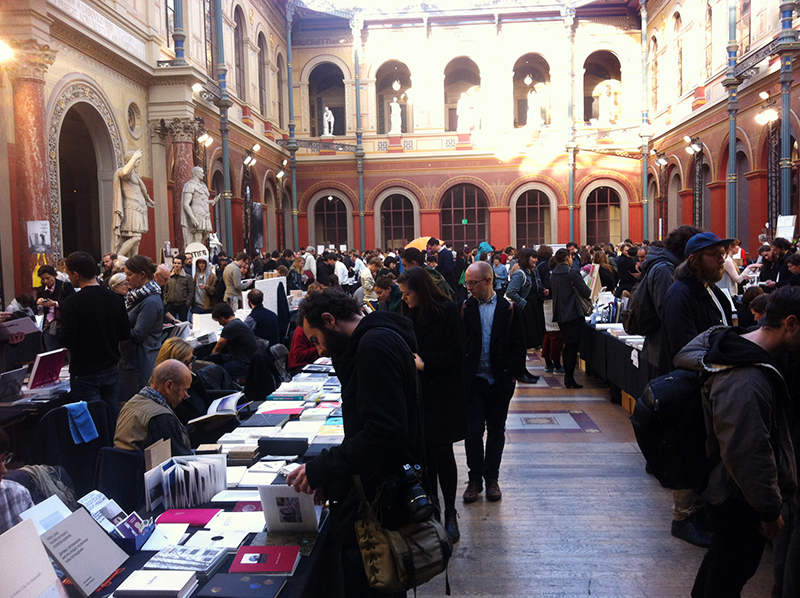 Fanzines session at Le PhotobookFest Paris. 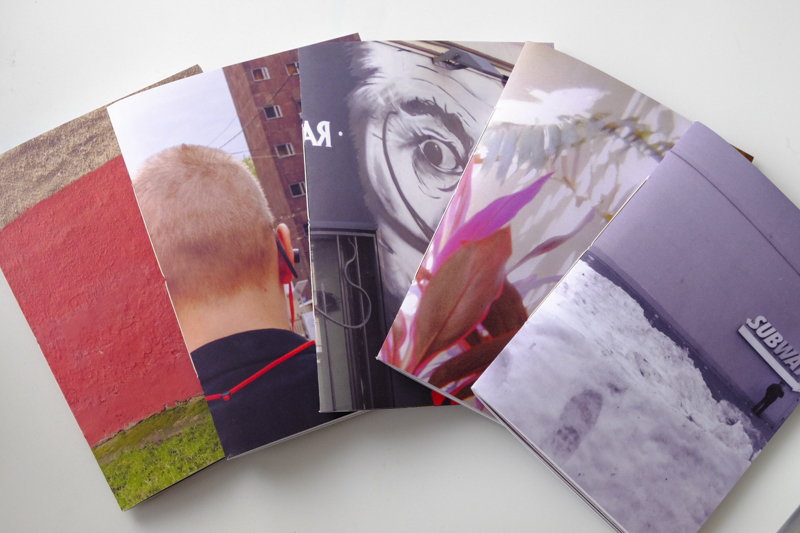 Presenting 4 zines of mine - Artek, Photo zine, Pink and Your cat. 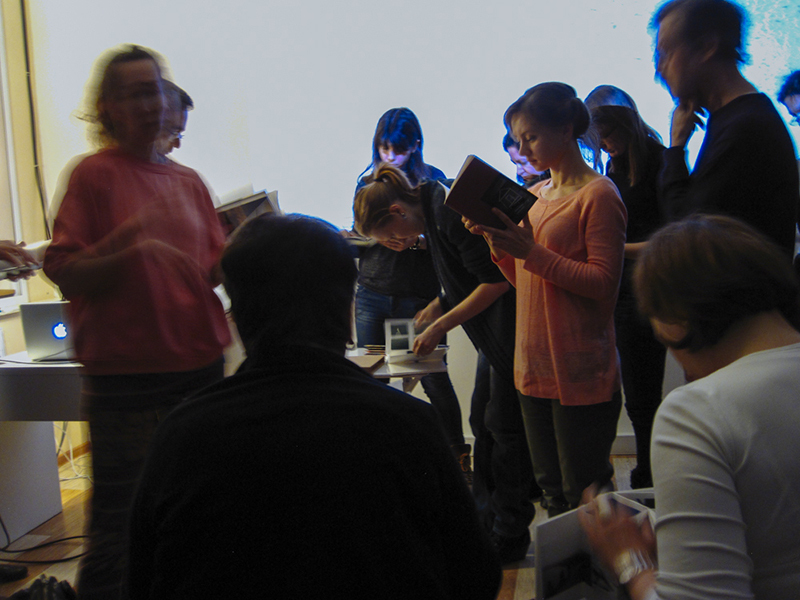 RIS book signings at Polycopies, thank you Hermann! 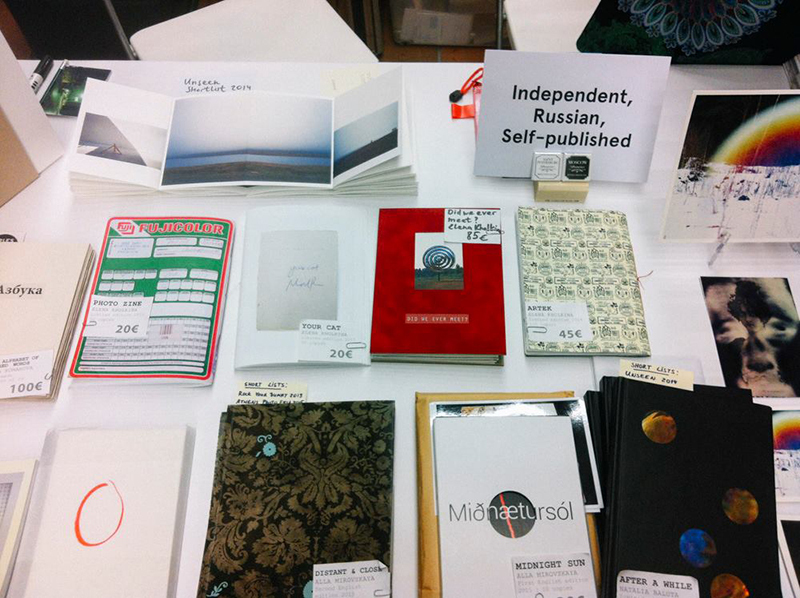 Russian Independent Self-published is one of the book-sellers at Offprint and Polycopies 2015! Confrontation from offonroad on Vimeo. 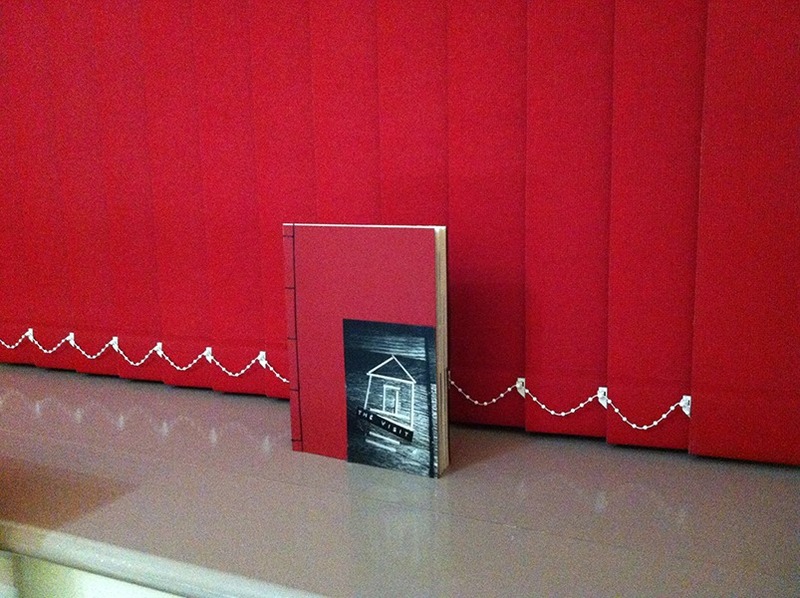 One of the book dummies by students in my DIY photobook workshop at Photoplay. 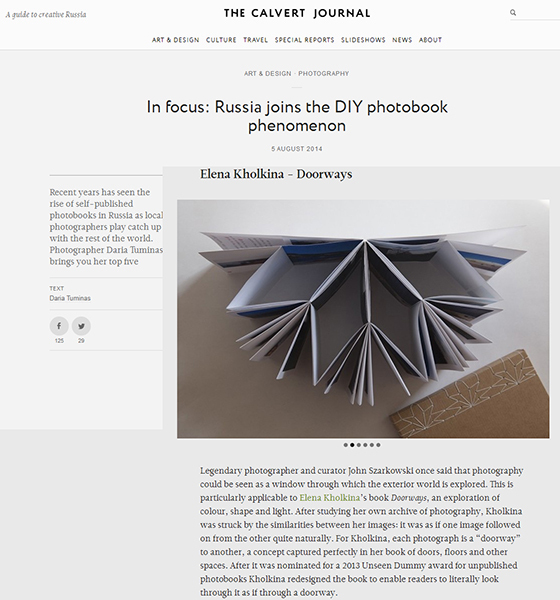 "This is a photobook" blog features an interview with us at Russian Independent Self-published! 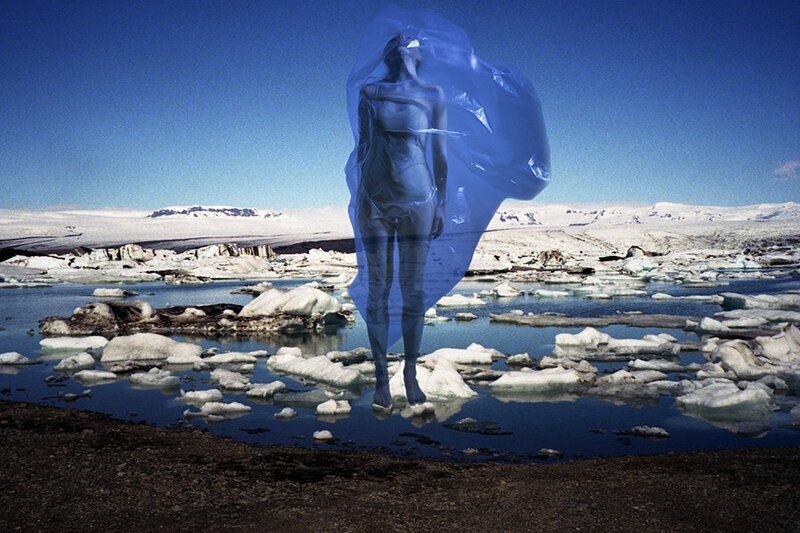 curated by Regina Anzenberger at the Delhi Photo Festival 2015. 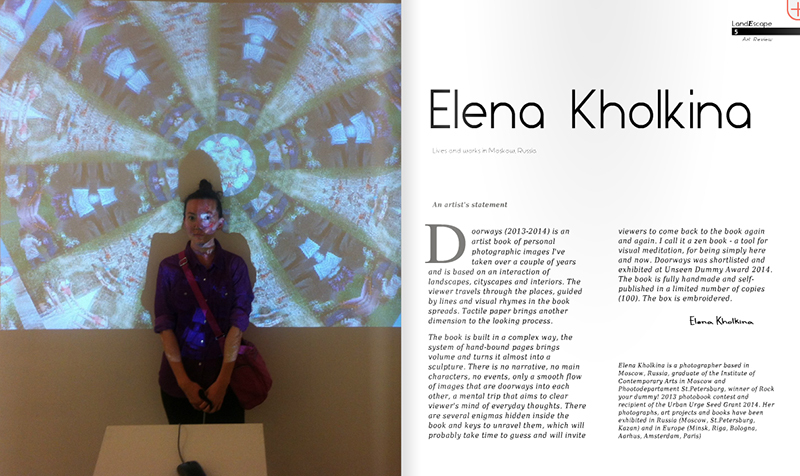 Ikona mag published an interview with me about my projects, participation in the Biennale etc. Thank you, Ikona! 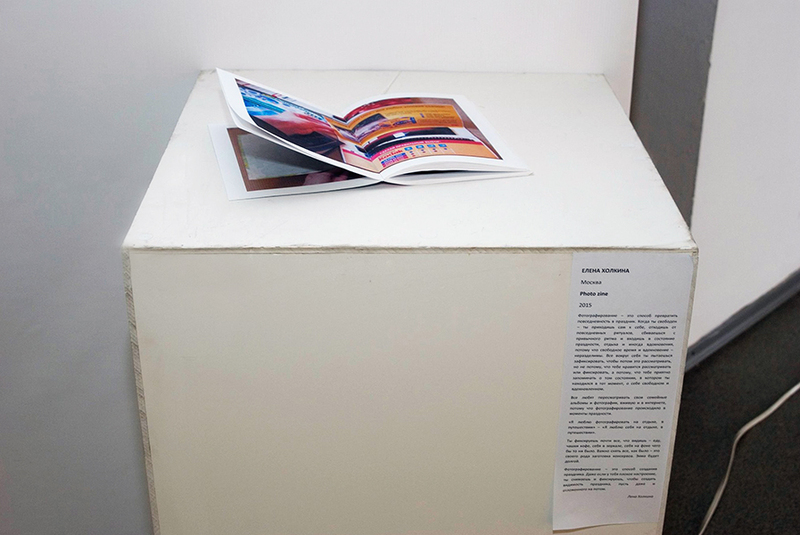 My book for the Biennale is ready and exhibited in VDNH. More info on the project here. 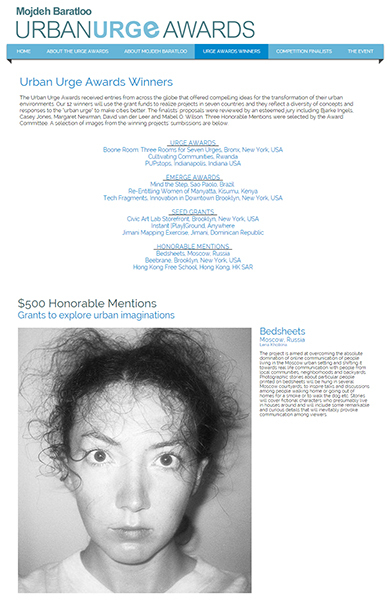 A mention on the Biennale blog. 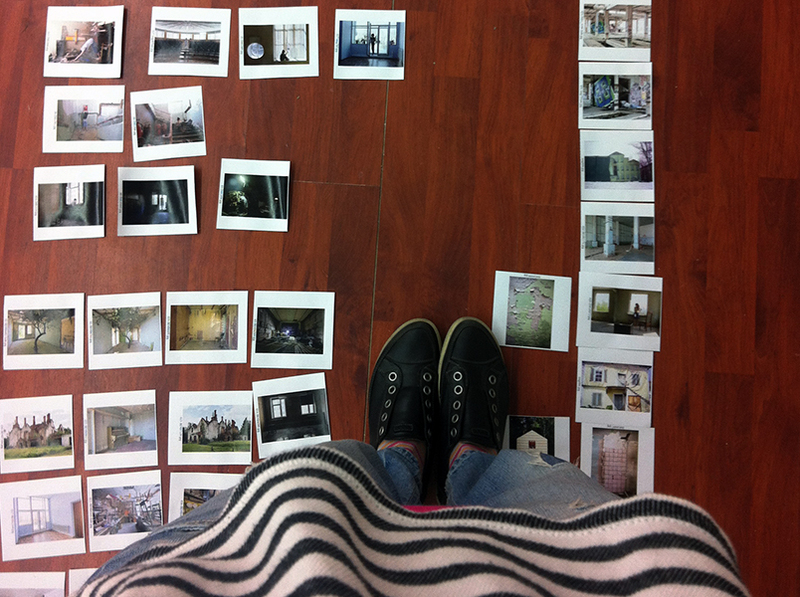 Biennale is in full swing, working day and night for 10 days in VDNH. 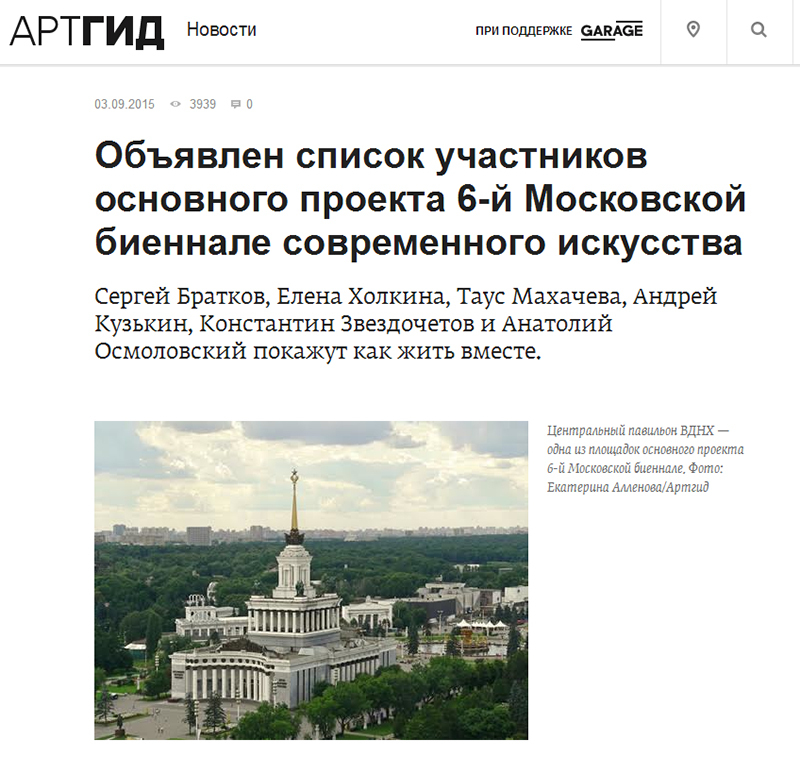 in the framework of the Special programme of the 6th Moscow biennale. See full info on my project here. 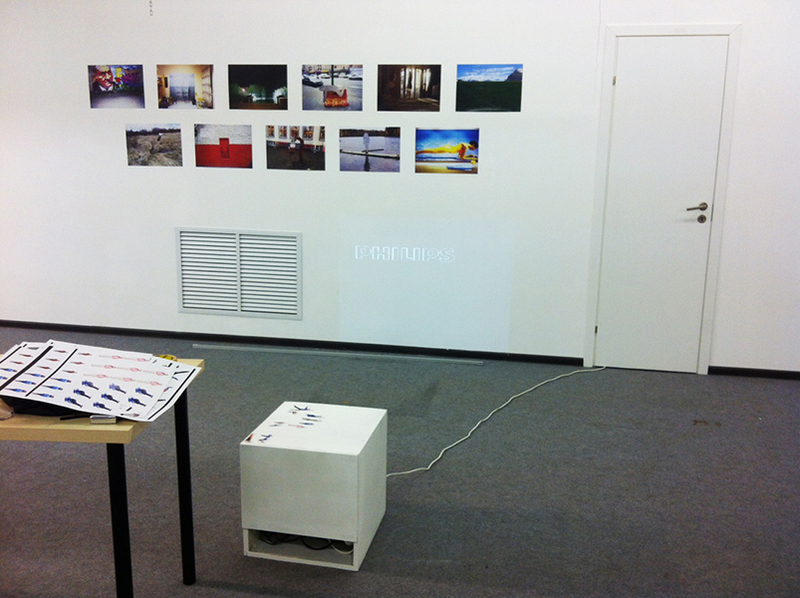 My project Bedsheet is on view in "Expanding space: artistic practices in urban environment"
Our table at Unseen 2015. A great event for all book-lovers! 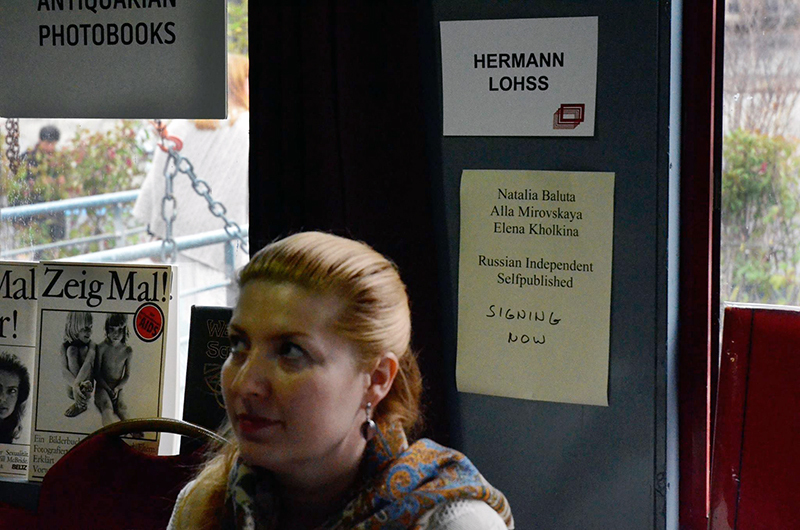 Russian Independent Self-published is on the official list of book-sellers for Unseen 2015, yay! See you there! 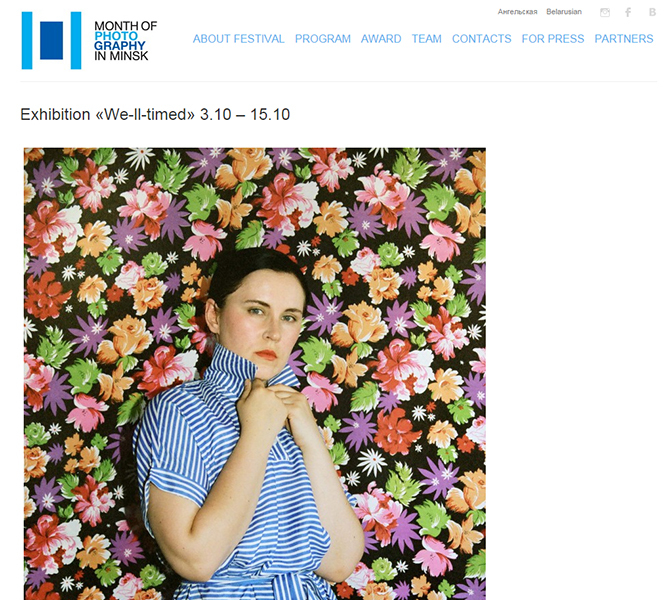 of the Main Programme of the 6th Moscow biennale of contemporary art! 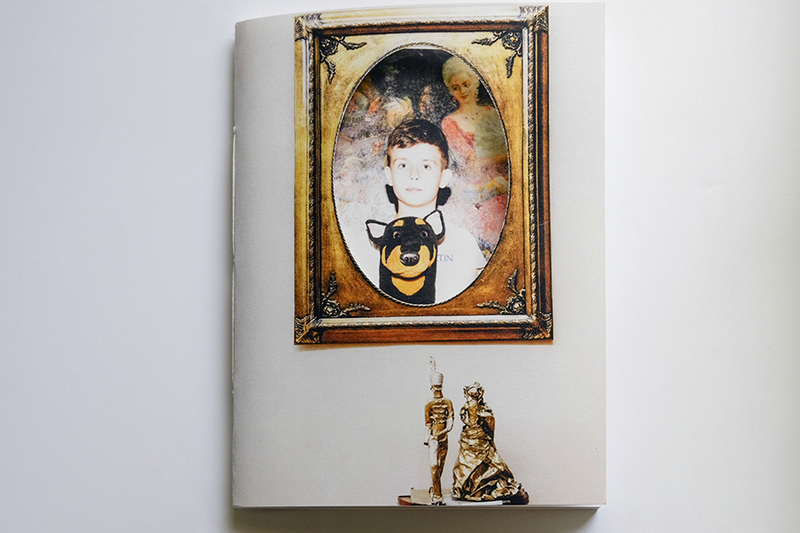 Our new book dummy Reciprocity (collab with Olga Alexeyenko) is in the Spine Dummy Award Shortlist 2015! Working on a new book in collaboration with great and lovely Olga Alexeyenko. 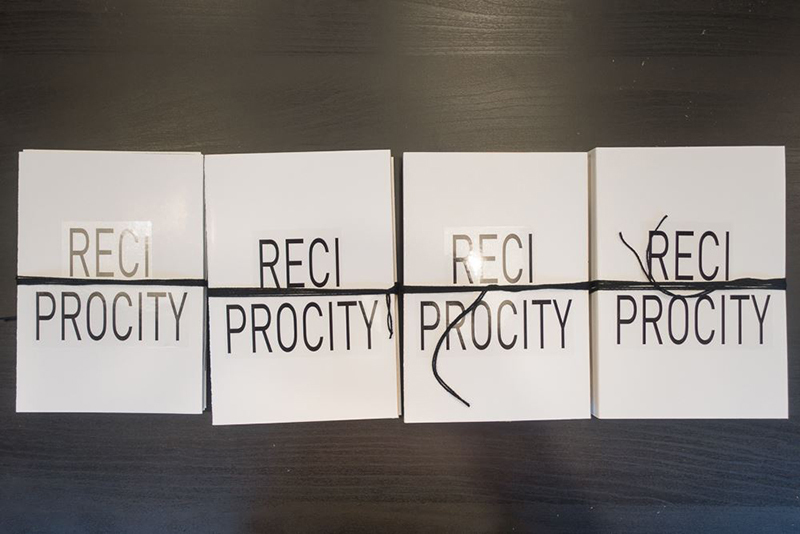 Reciprocity - coming soon in super limited edition! 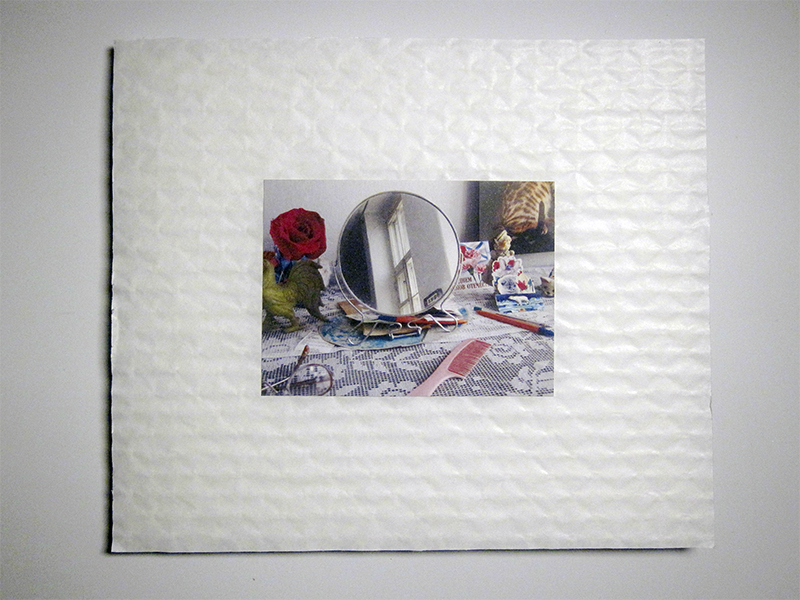 Hermann Lohss published a review of my Photo zine on his blog! Thank you, Hermann! 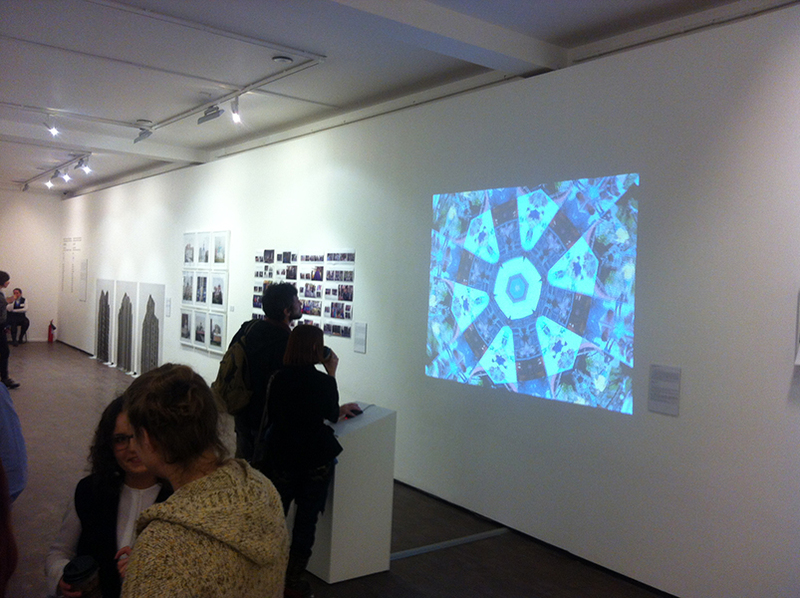 "Construction:photography in search of a method" exhibition. 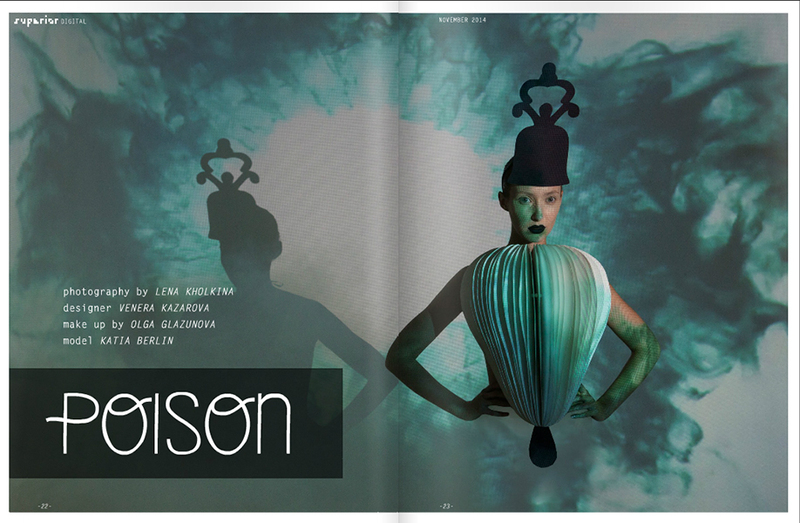 Go-went-gone is feature in Phos magazine! One of the dummies made by the students of DIY book workshop in Photoplay. 5 Hills Story is featured in Phos mag! LandEscape magazine featured an interview where i speak about several projects of mine. see scraps here. 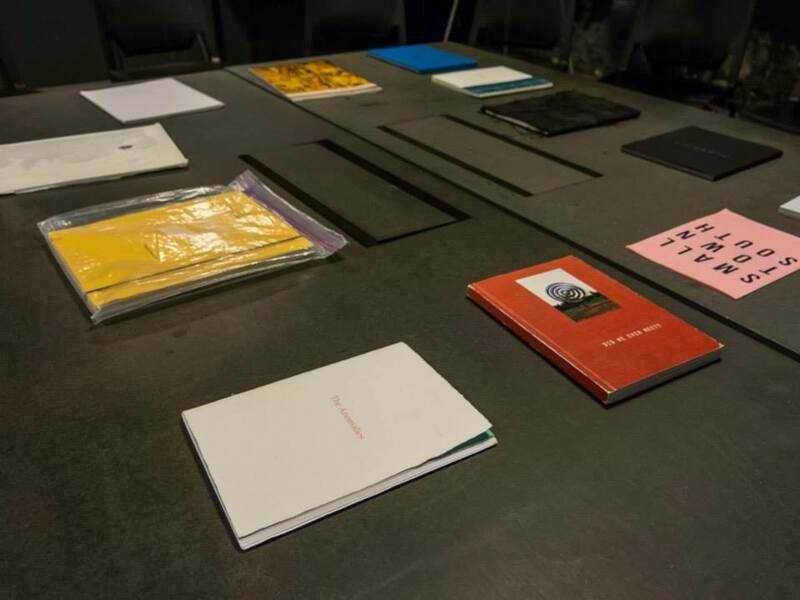 Happy to be now part of the curators team for a weekly book workshop in Sreda creative lab. 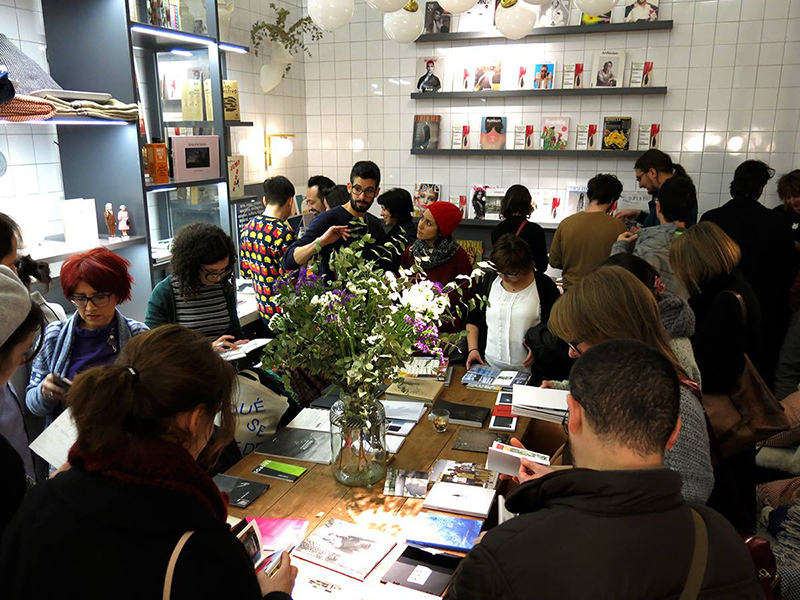 Artek zine is featured in Phos magazine! 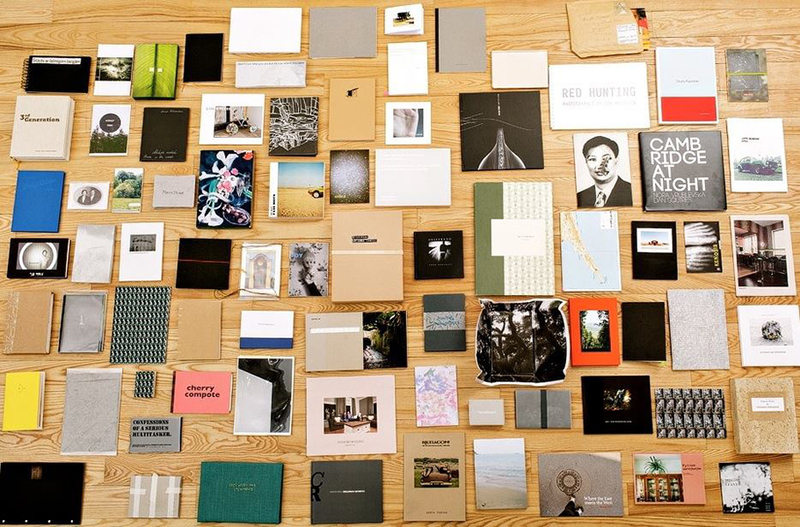 Russian Independent Self-published books are taking part in Vienna Photobook Festival! 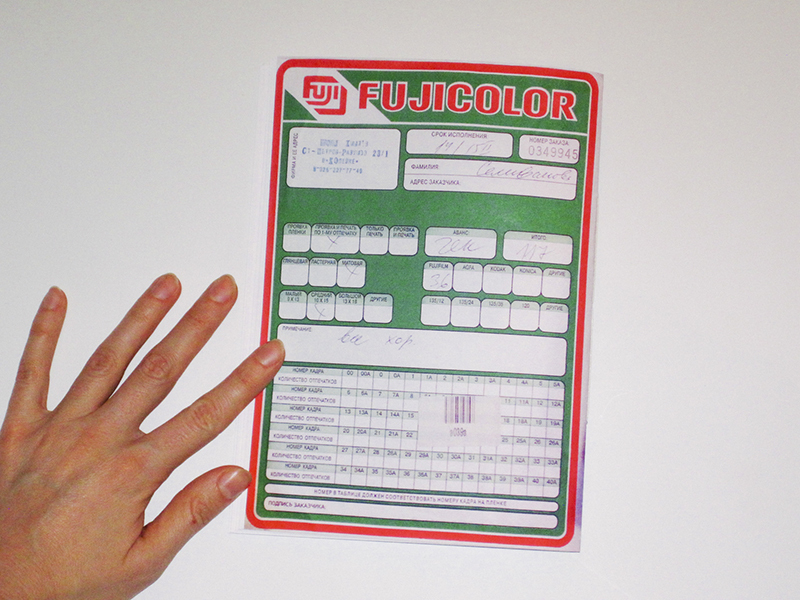 We are on the official book-sellers list. 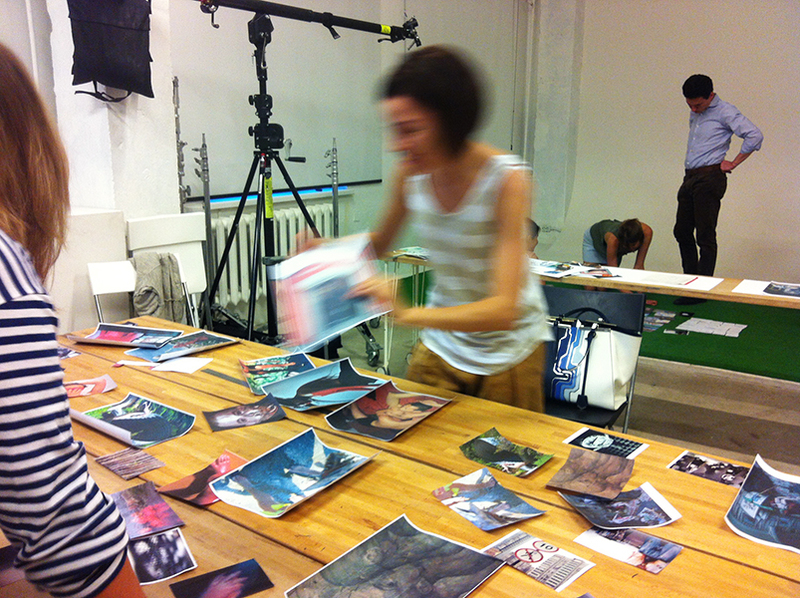 i'm now curating a diy photobook workshop in Photoplay school. 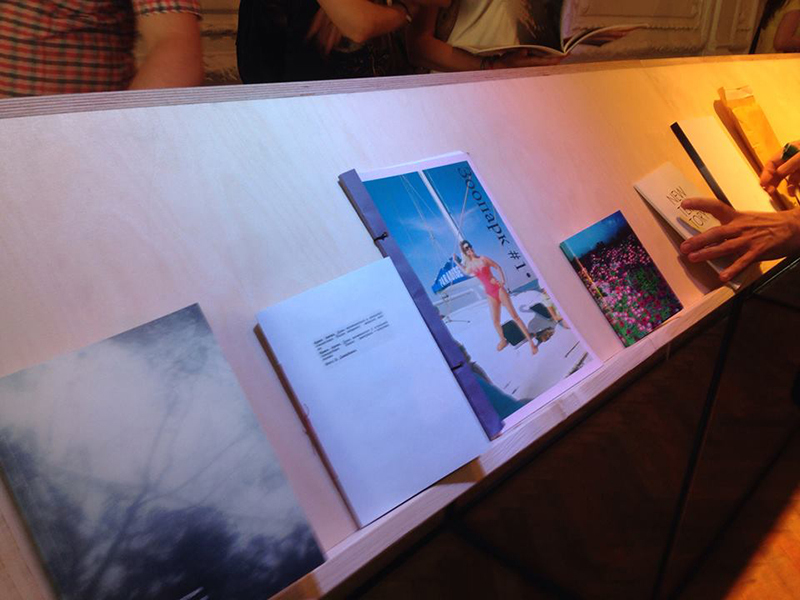 Artek zine and Did we ever meet? 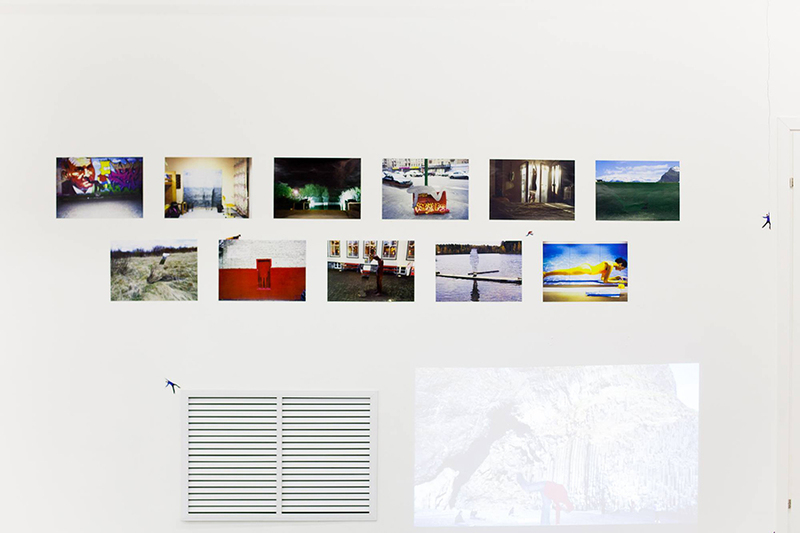 are part of Athens Photo Festival 2015, Benaki Museum in Athens, from 3 June to 26 July. in FotoDepartament shop. 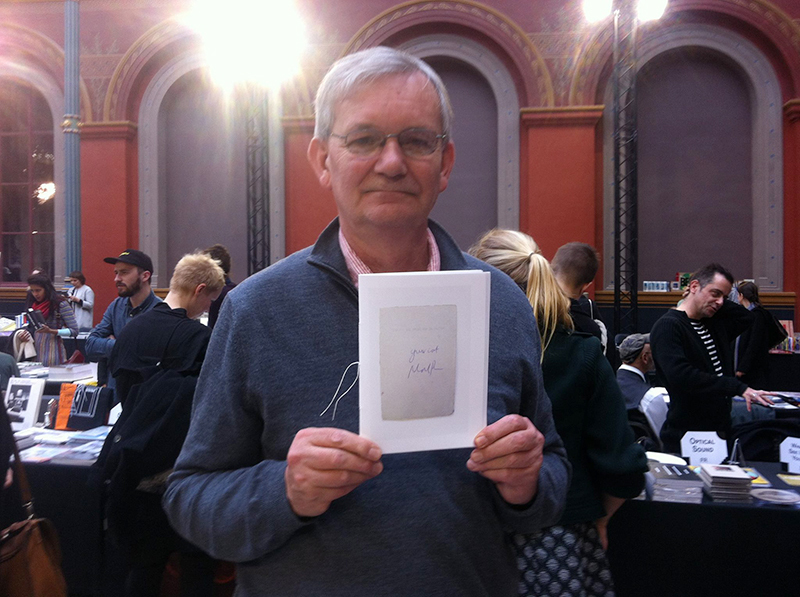 Limited edition of 50 copies, signed and numbered. 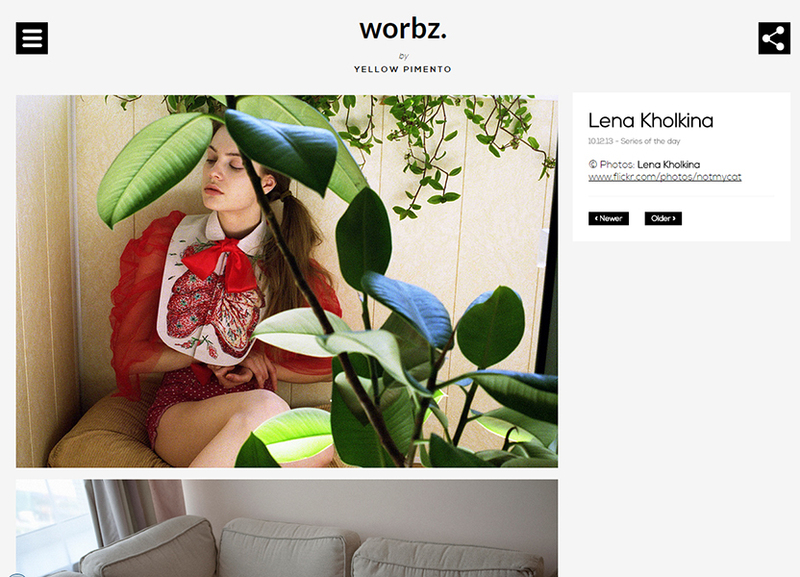 new Photo zine is up, please welcome! 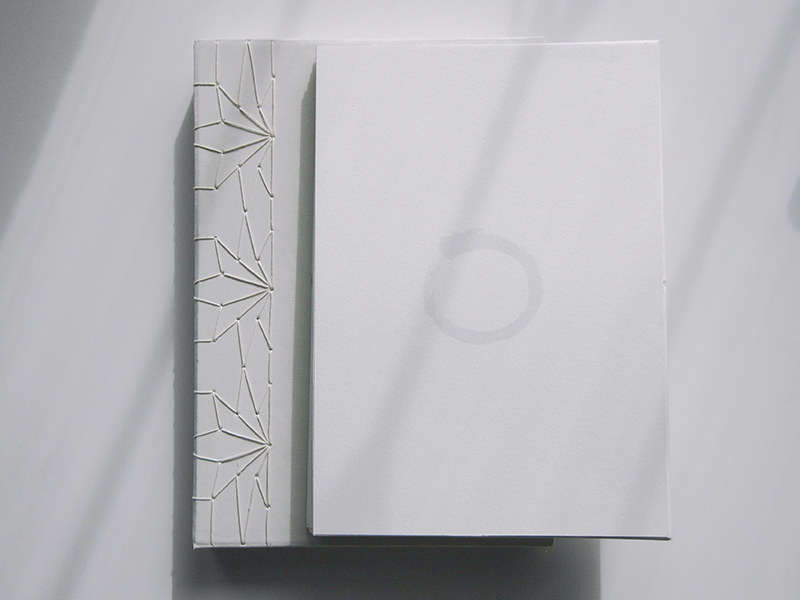 limited edition of 50, dedicated to the fading culture of a family photographic album. Did we ever meet? is going to Berlin - next stop of the Smell of Dust! 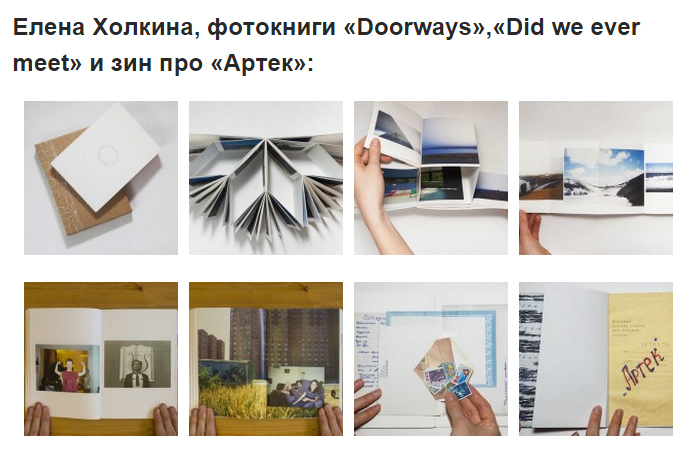 My brand new Photo zine is part of the exhibition of young contemporary art in Krasnoyarsk Celebration! More info about the zine coming soon. 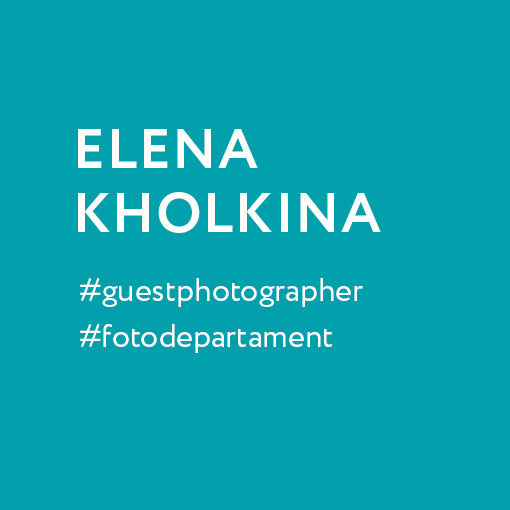 between May 6 and 12 I'm the guest photographer for Fotodepartament's Instagram! let's befriend - my account is at Offonroad. 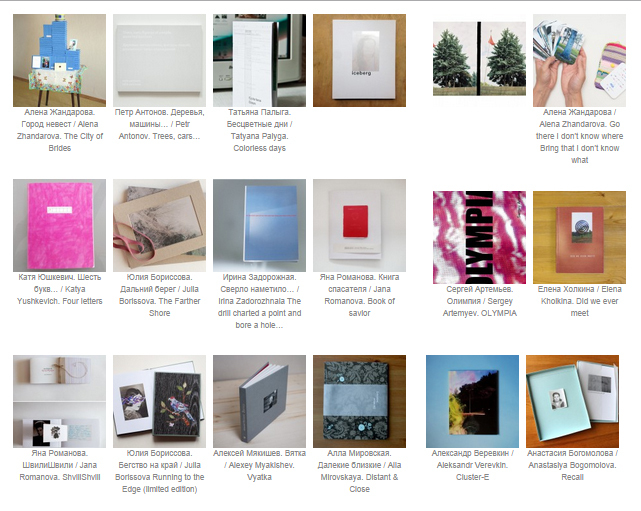 my project Bedsheet is in the longlist of V-A-C programme Expanding Space ! in great company! more info coming in August-September. 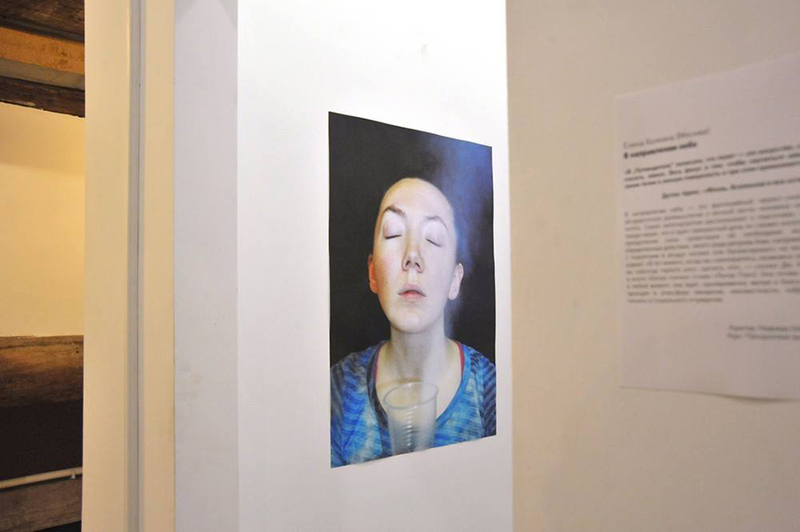 Two projects of mine are exhibited in Kolga Tbilisi Photo 2015 - Dark matters and Vobortens2015! 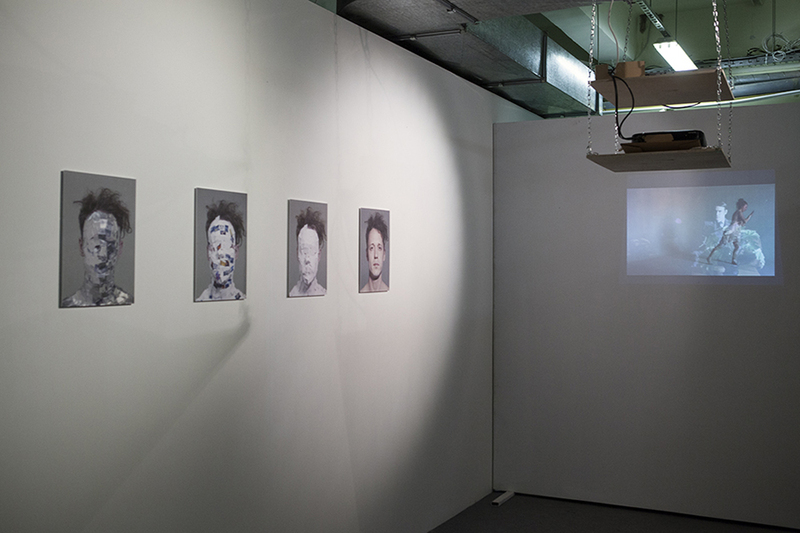 Vobortens2015 is now on view in Moscow Museum of Modern Art, please come and see the "War museum" project till 24 May. 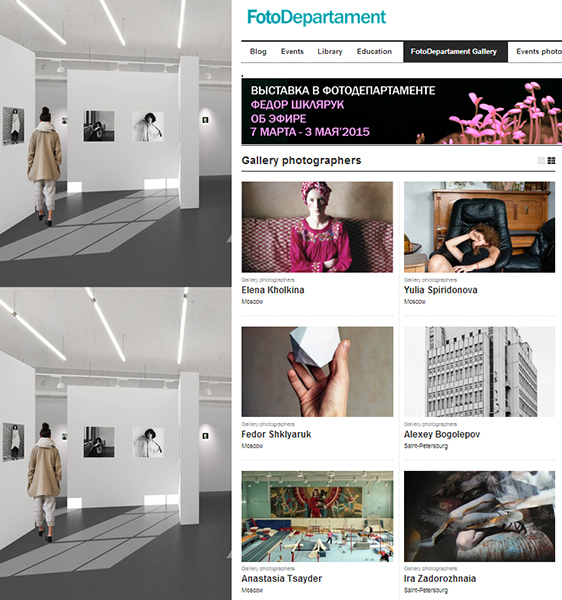 I'm now represented by FotoDepartament Gallery in St.Petersburg, and it's great to be in such good company! 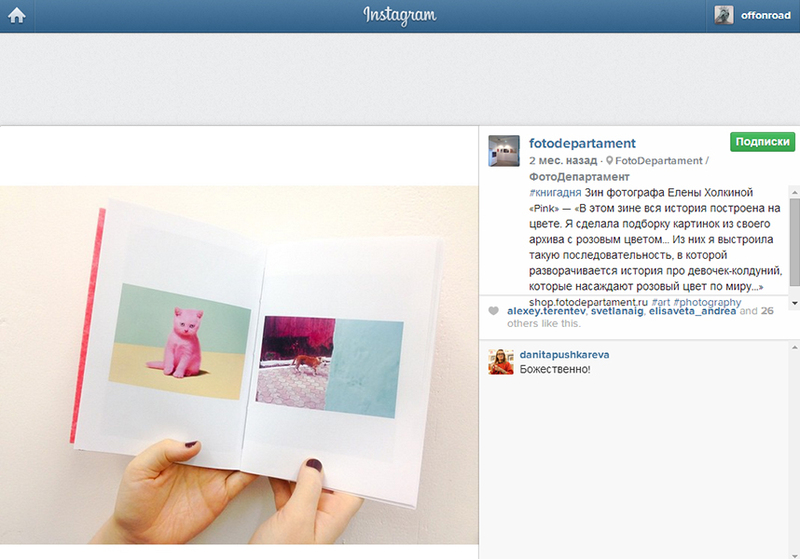 Your cat, Pink, the brand new Photo zine and me took part in the print market "Вкус бумаги" ("the taste of paper"). 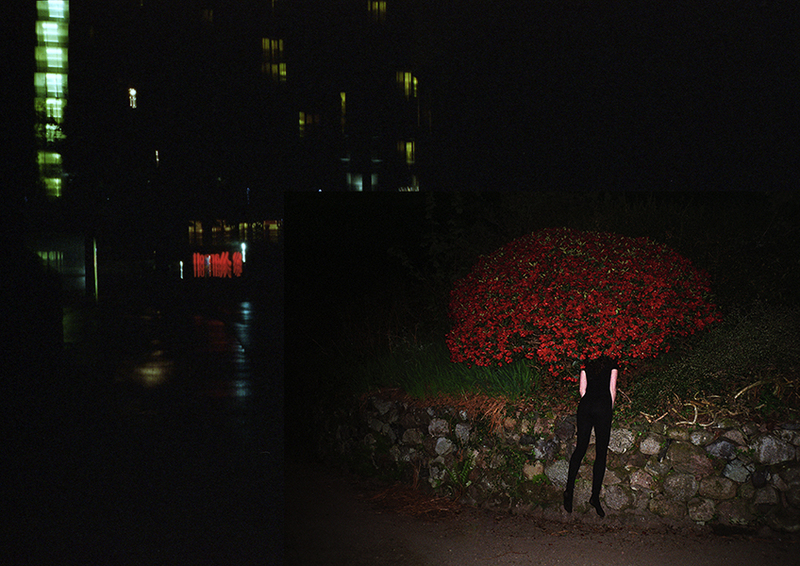 more info on the Photo zine coming soon. 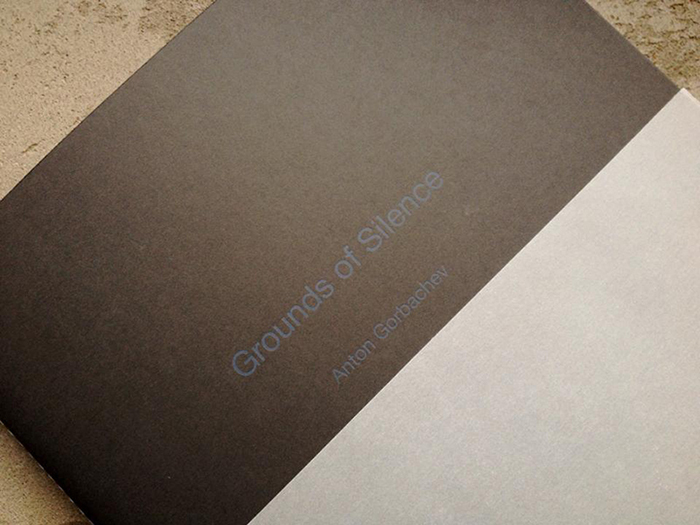 Anton Gorbachev's book "The Grounds of Silence" is out, 50 copies, 1st edition. i helped sequence and design it. more info available soon. super happy to announce that Did we ever meet? 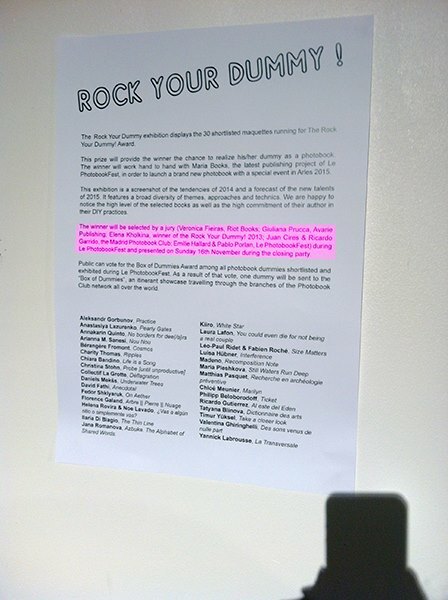 is taking part in the Smell of Dust this year, in great company! 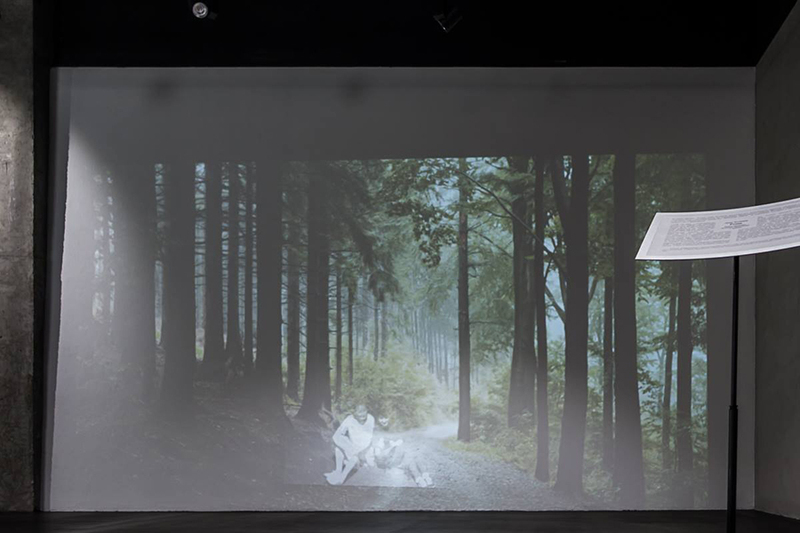 images from the book will be part of their audivisual performance. 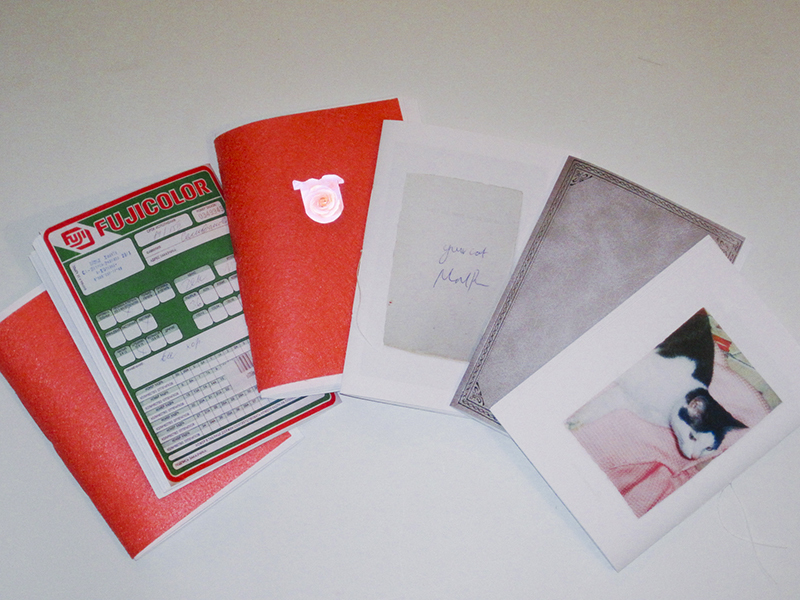 my zines - Pink and Your cat - are now available through FotoDepartament bookstore! Did we ever meet? 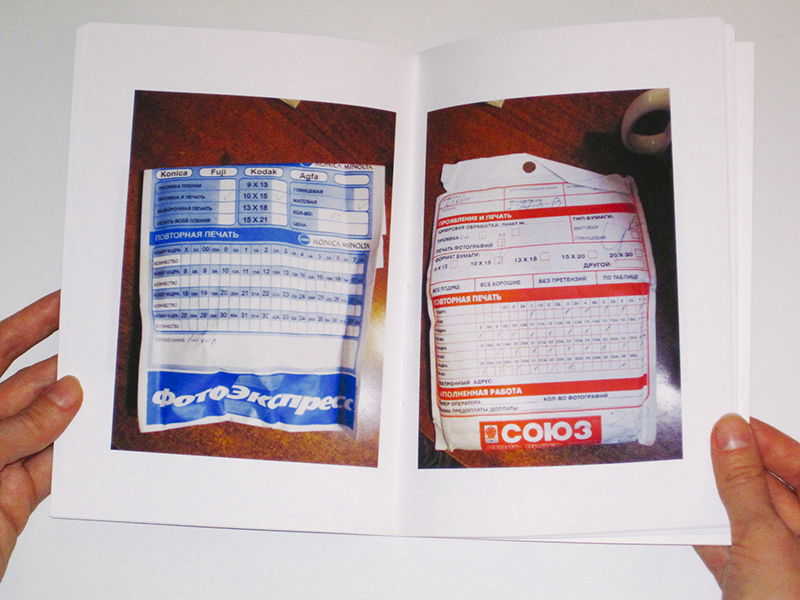 is reviewed by Olga Boitsova in the framework of the project Expert Photobook Review. 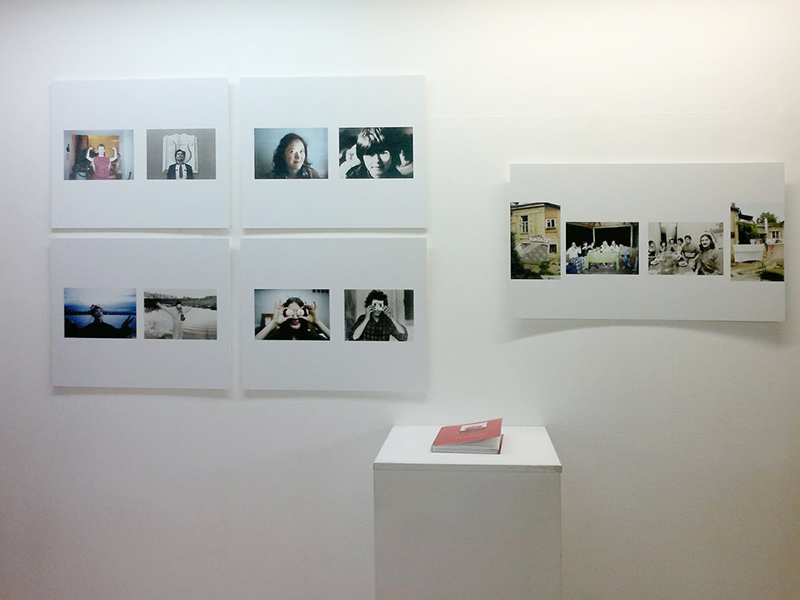 compiled during the Photobook Day! my book Doorways and Vlada's book 5 Hills Story are in as well. 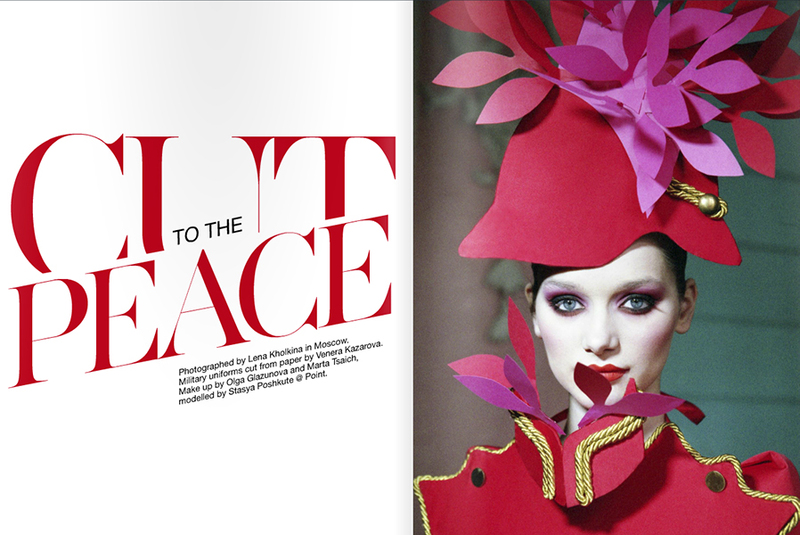 new beauty shoot Red All Over is out in Hint magazine. full story will be available soon. 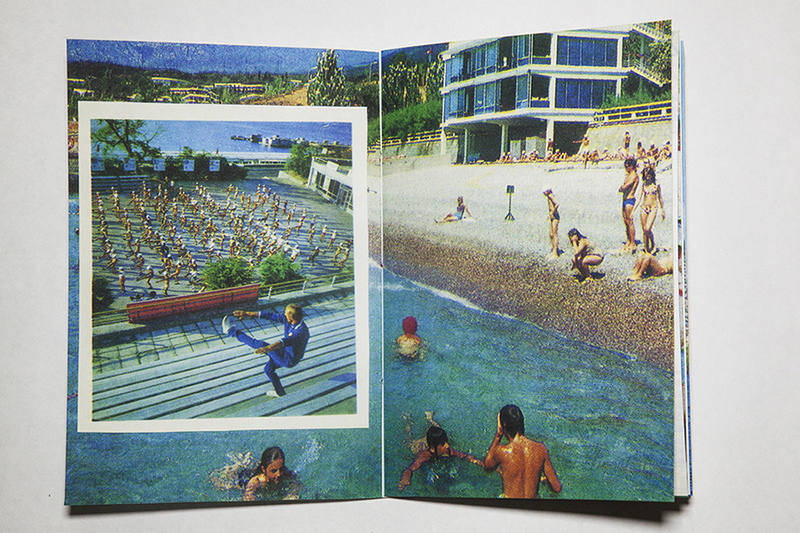 my self-published zine Artek is in the list of les livres préférés de 2014 of Le Photobook Club Paris, thank you guys!! 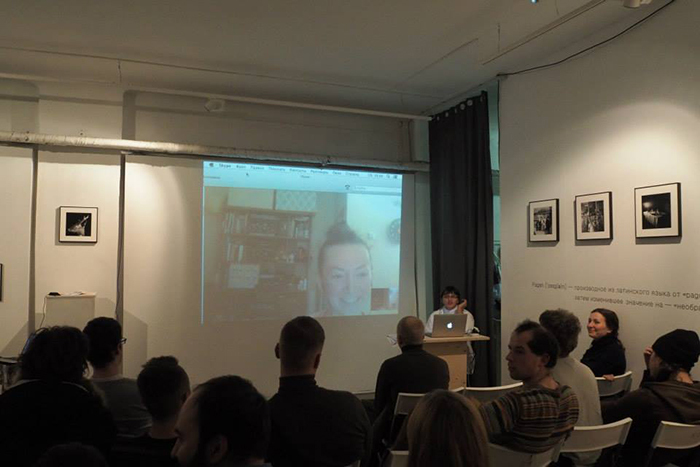 i'm taking part in the discussion on Russian photobook market, in FotoDepartament gallery. lots of important issues raised, we still have a long way to go. 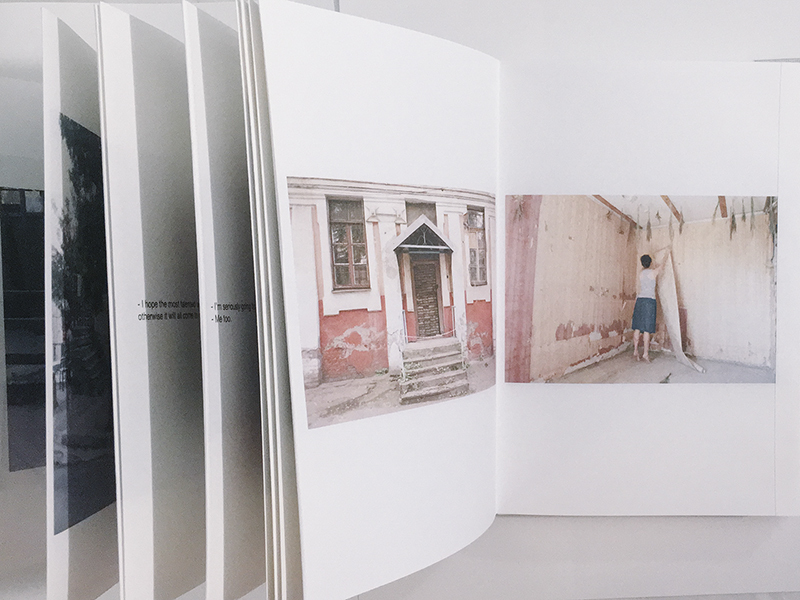 here's a treat - new photobook i helped to design - 5 Hills Story by Vlada Krasilnikova, limited edition of 20.
another collaboration shoot with Venera Kazarova is out in Superior magazine, check out full story here. and jurying Rock your dummy! 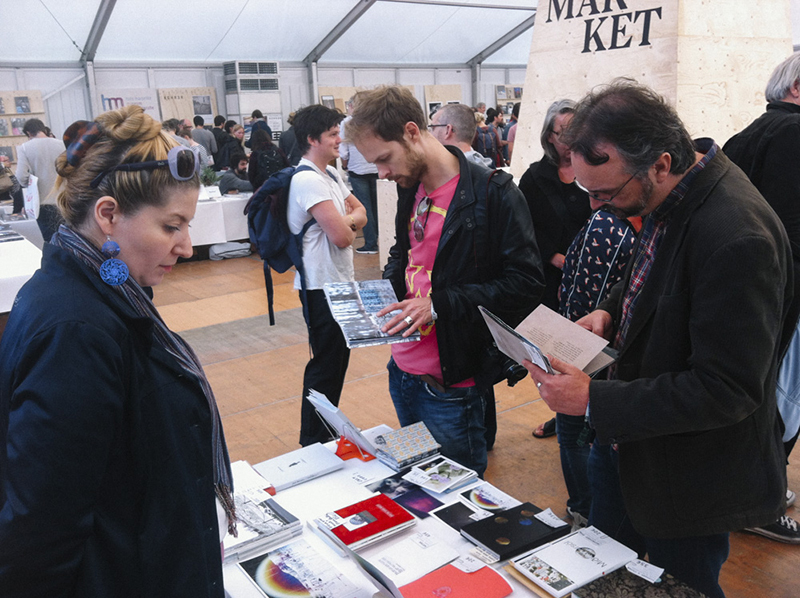 contest at Le Photobook Fest. 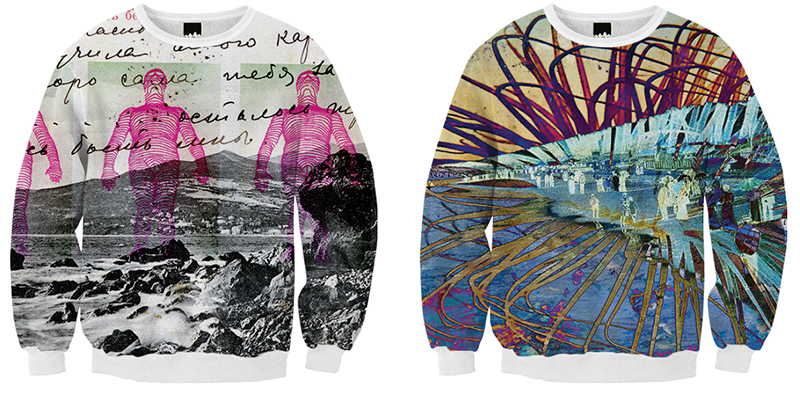 i'm selling calendars for 2015 and warm sweatshirts with Vobortens imagery here. 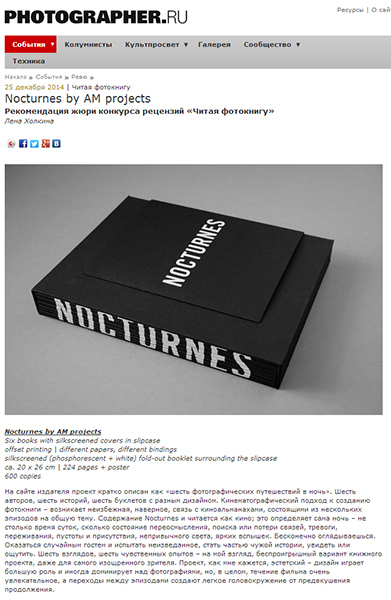 some of my works from Dark Matters series and Self-portraits series are now represented by ARTchoice in Moscow. 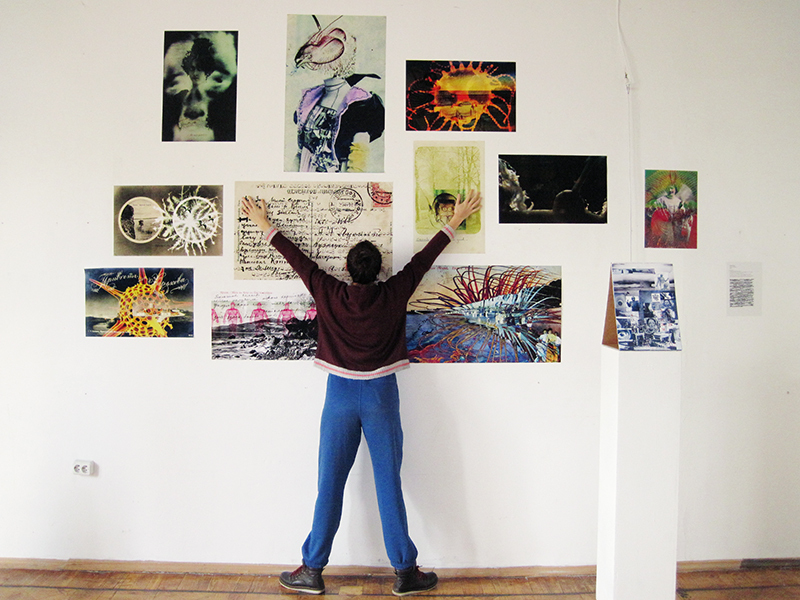 exhibition "Where we are" in Gogol centre in November. more info here. new fashion shoot is out in Superior magazine. see more here. 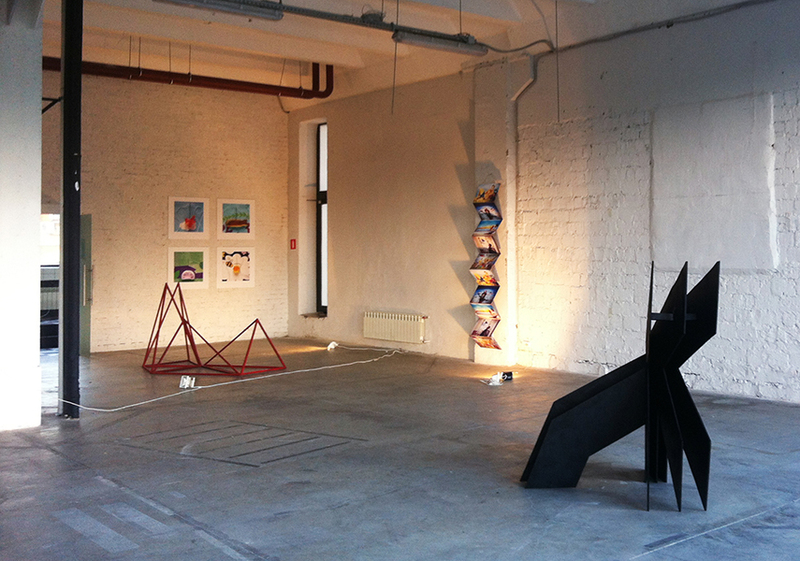 our ICA Moscow graduation exhibition was shown in the Random gallery in October. more info on my diploma project VOBORTENS here. 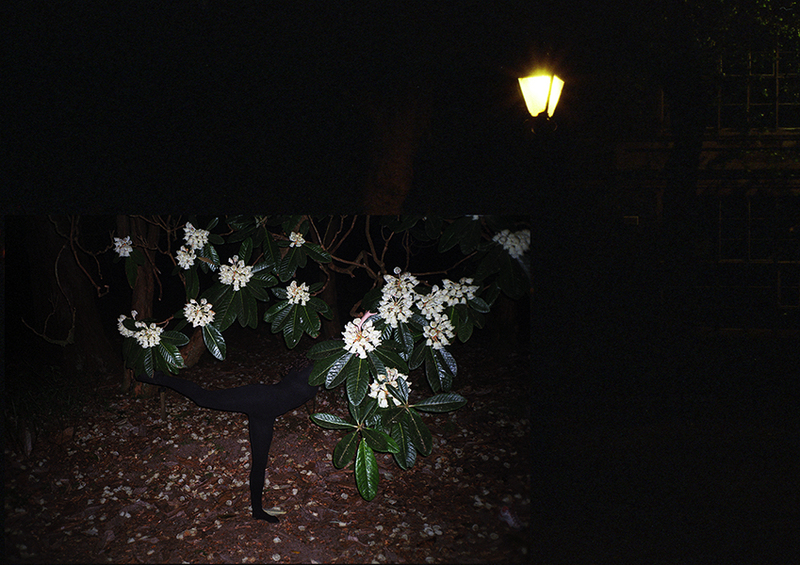 my new project Go-went-gone is now up online. more info here. i've added Subscribe button to the navigation panel on the left, so if you want to get occasional updates on what i do - welcome! 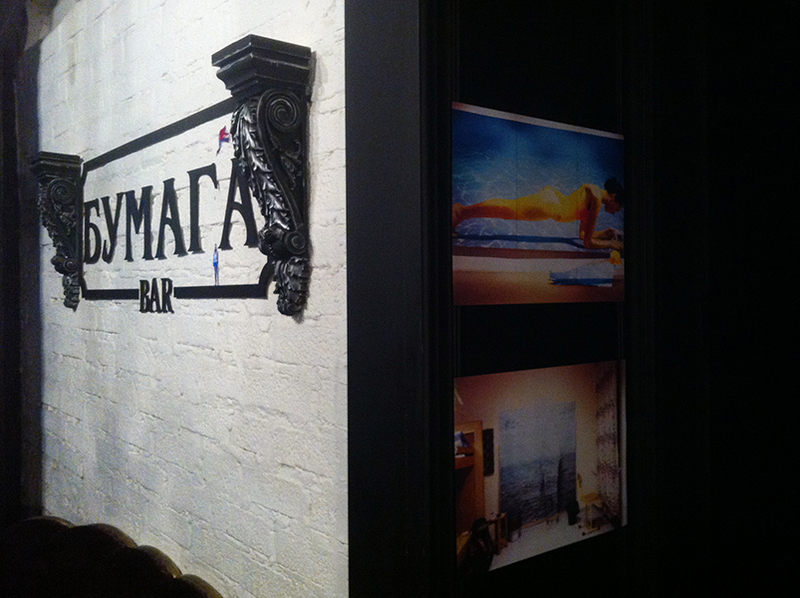 Some prints of mine are available for sale, with generous support from Ptichka Gallery in Moscow. Please check editions, sizes and images here. 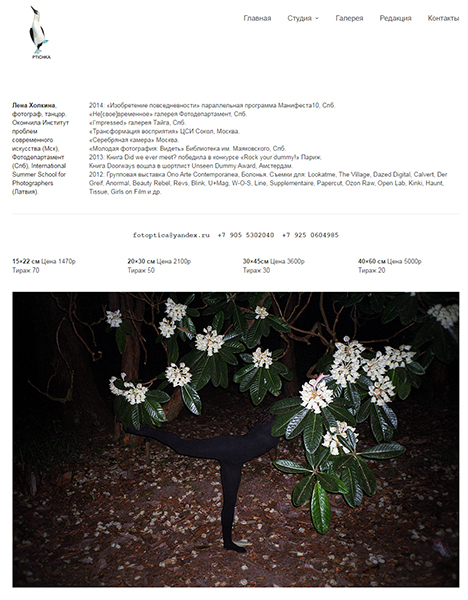 my new project Go-went-gone will be on show in SOKOL CCA from 7 Oct till 4 Nov in the "Space of no exception" exhibition. more info will be available soon. 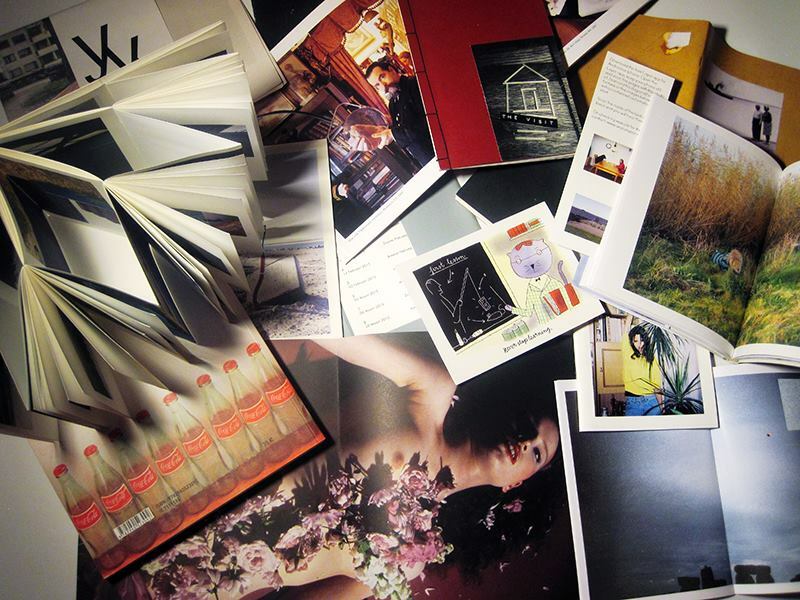 Russian photobooks including my books Did we ever meet? 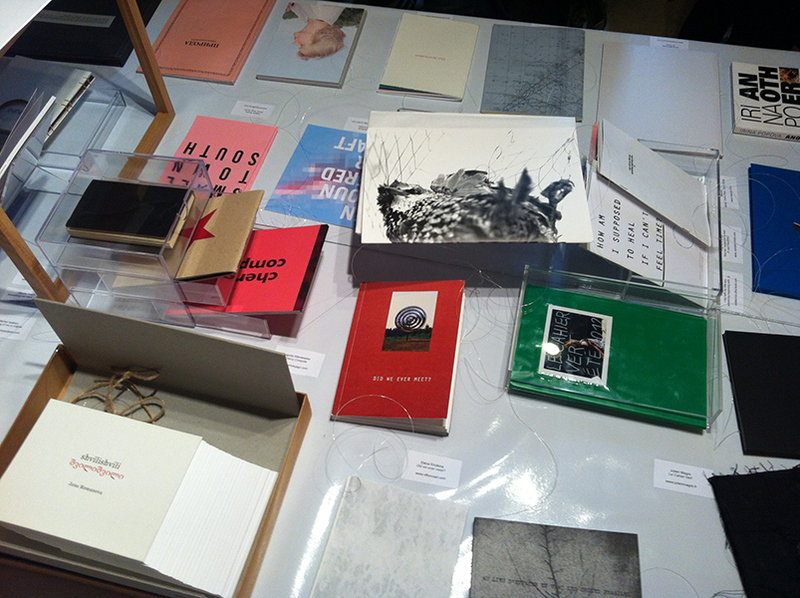 and Artek are now on show in Aarhus Photobook week. 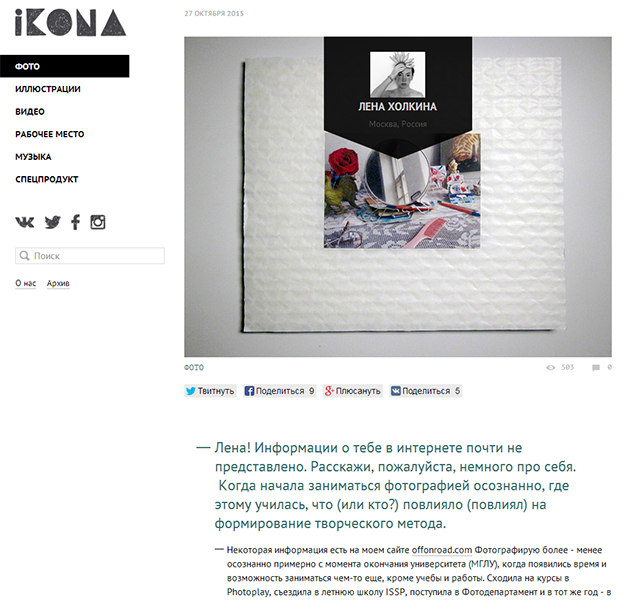 F-magazine published an interesting article full of interviews with Russian self-publishers. read who and why is making the books in Russia. 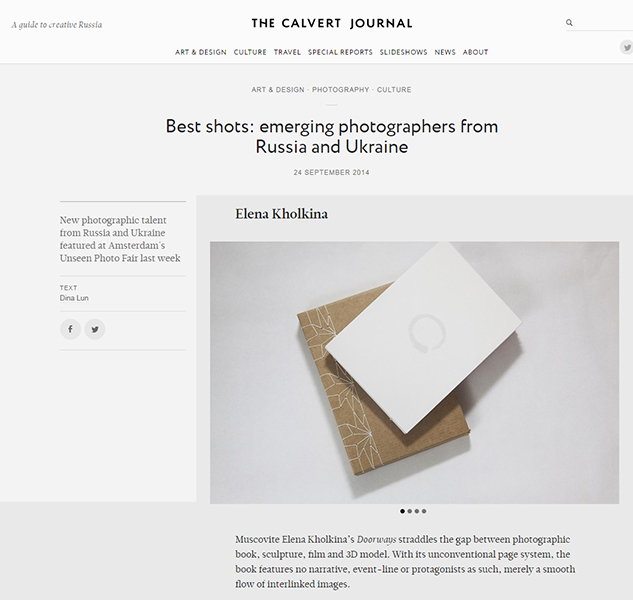 Calvert Journal about Russian and Ukrainian photobooks at Unseen. Doorways among Unseen Shortlisted books :) see more info or order the book here. Did we ever meet? is currently on show in the framework of the Bulldozer exhibition 40 years later in Belyaevo gallery in Moscow, till 12 October. see a TV story about the exhib. 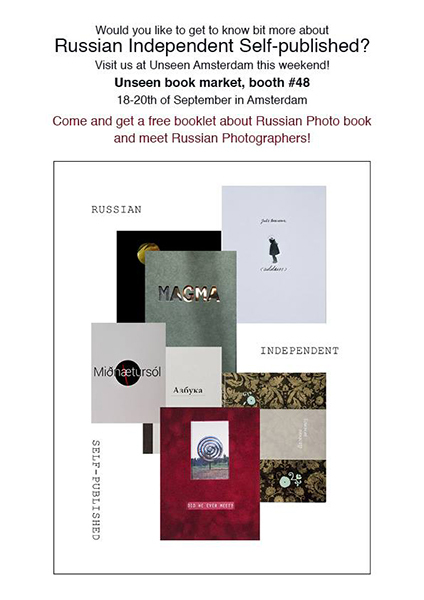 we are bringing a Russian photobooks table to Unseen! my books Did we ever meet? and Artek will be on sale. read an article at Fotodepartament. 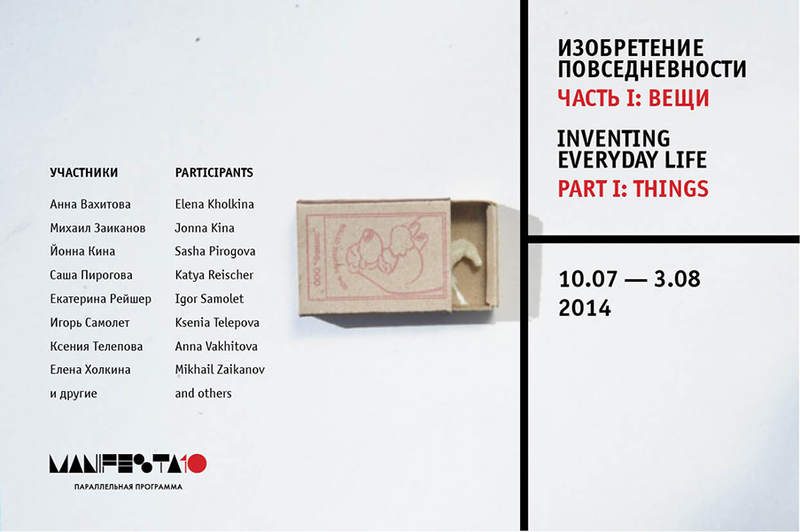 taking part in the exhibition "Institute.Production" in Kazan, till 19 Sept, with the project Skyward. 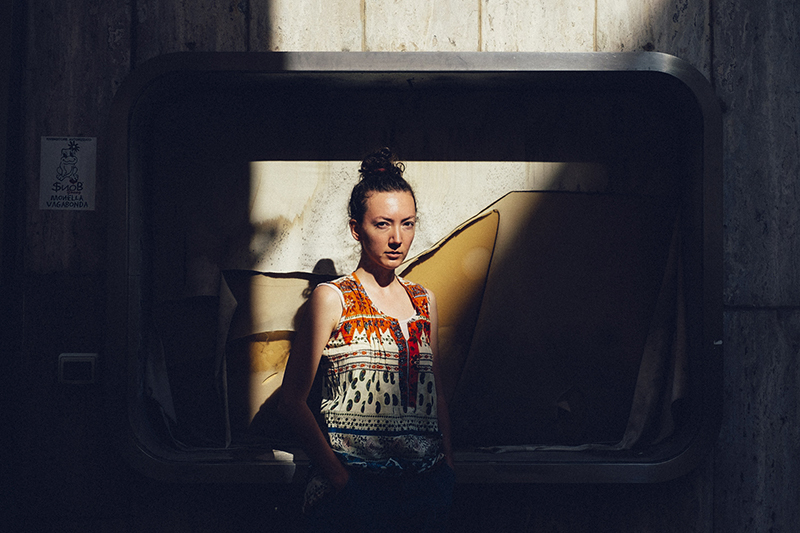 happy to share the news - i'm one of the winners of the Urban Urge Grants this year!!! 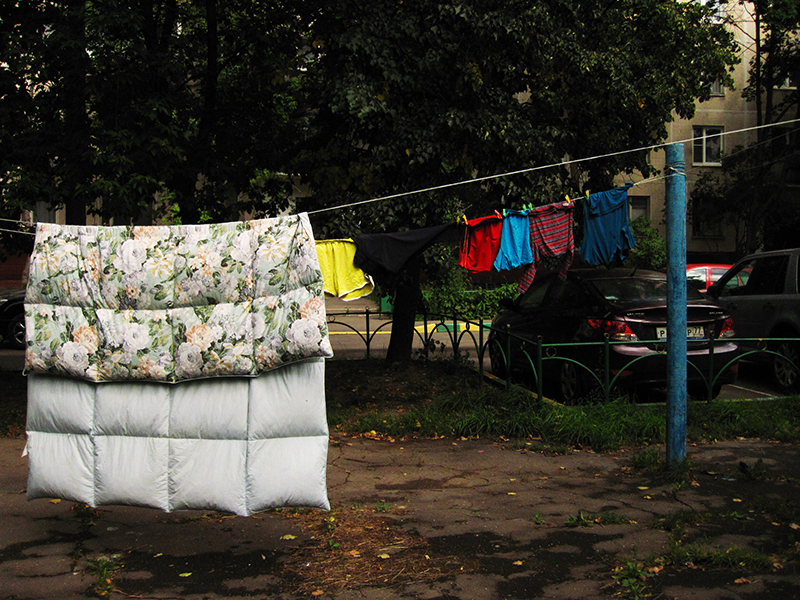 the grant i'm getting will go into a new project of mine called Bedsheets! 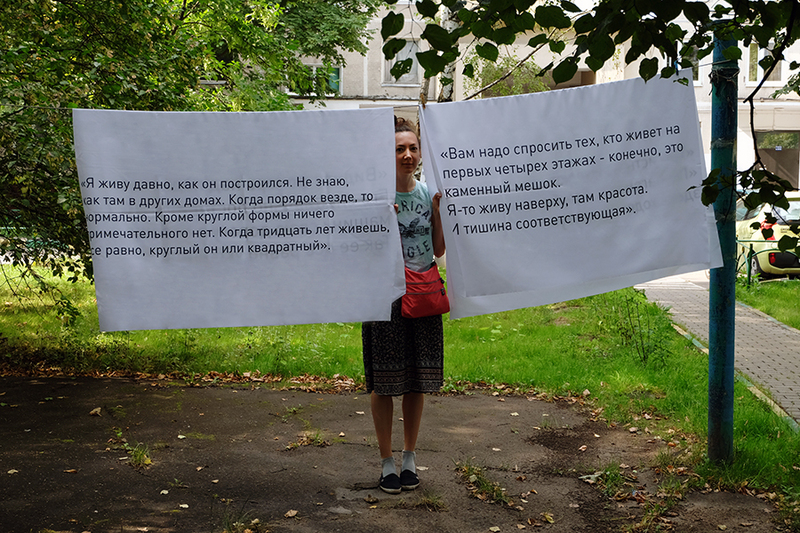 coming soon, on Moscow streets. new shoot - Nick for Yearbook Fanzine. here's the news i've been waiting for! 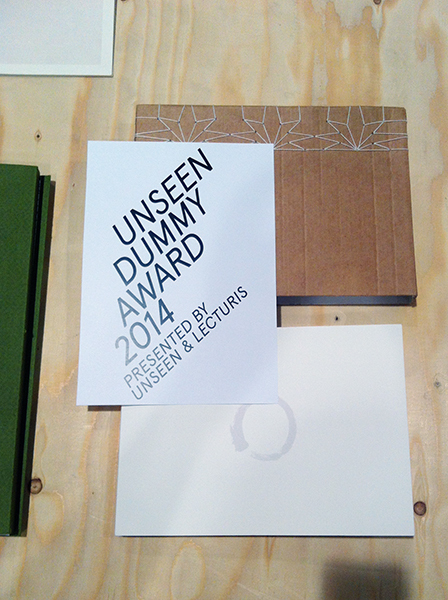 my new book Doorways has been shortlisted for UNSEEN Dummy Award! see more info about the book here. 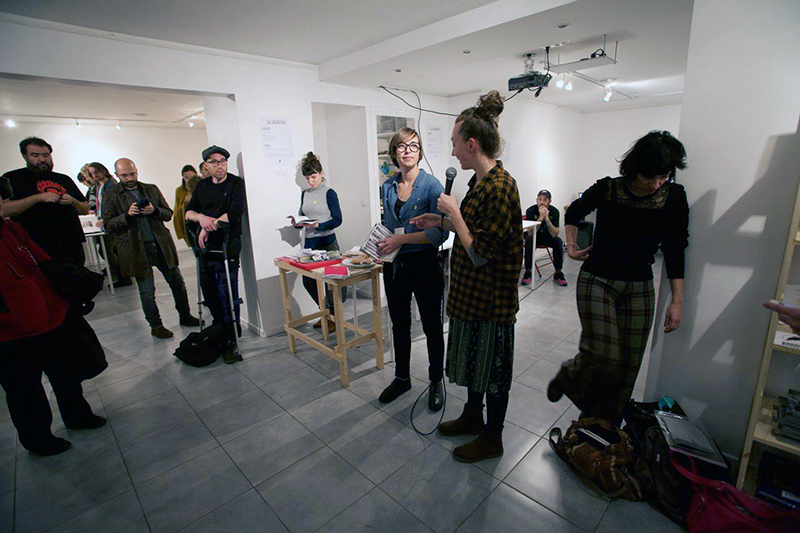 work and fun (read FUN and work) in the ICA Summer school :) diary here. 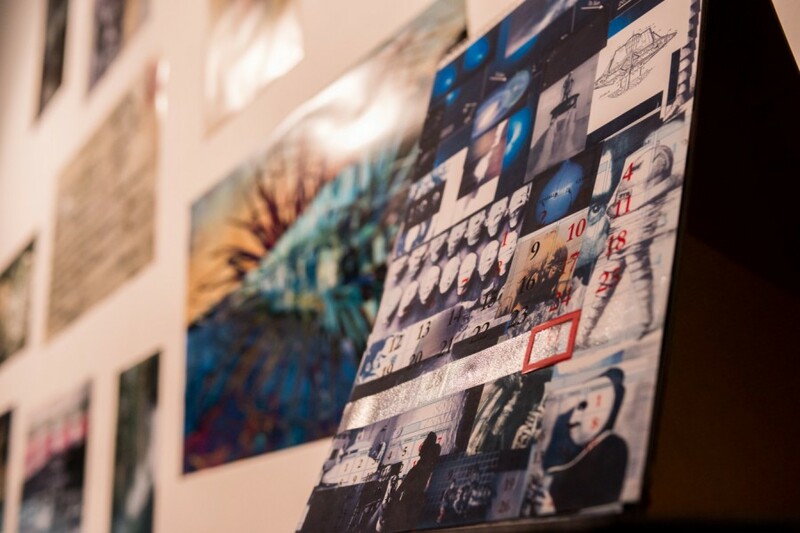 now my prints can be bought at PTICHKA gallery! 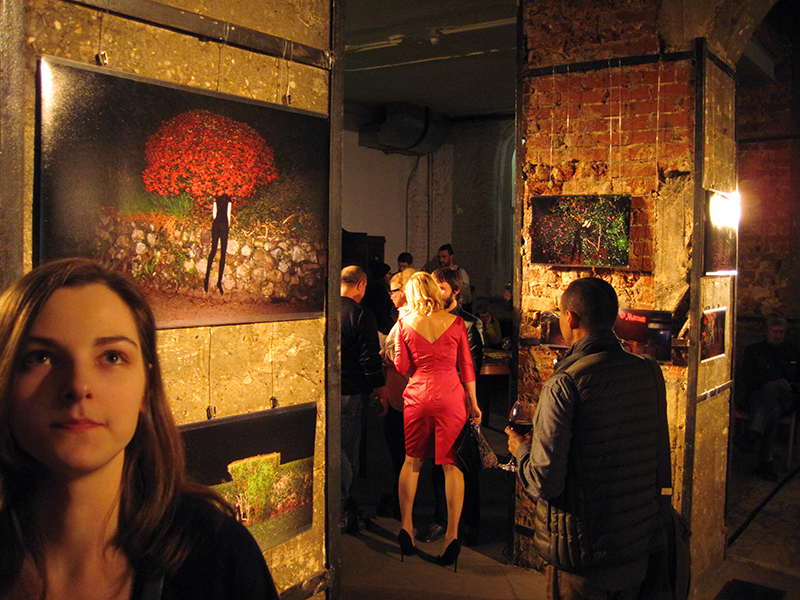 taking part in the STUDENT ART PROM exhibition in Artplay gallery, Moscow - till 29 August, with my project "In the shadow". my self-portraits in Meow magazine. more here. 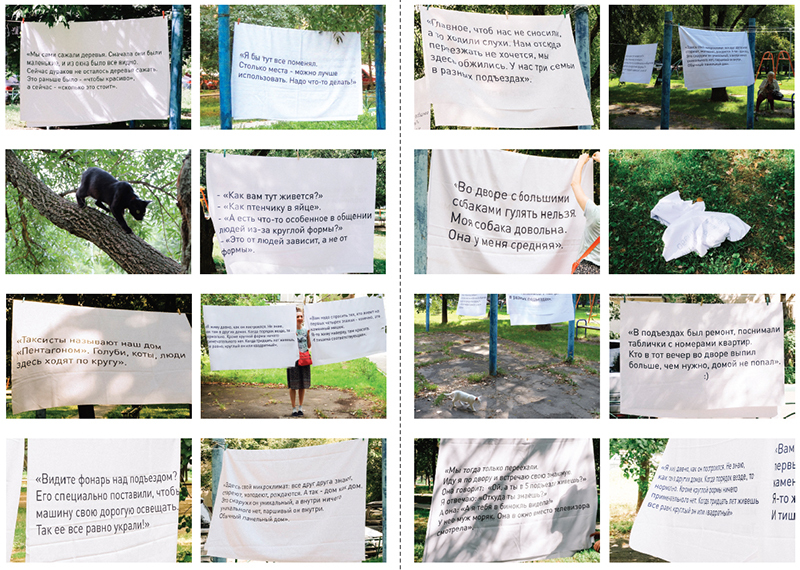 very happy to take part in MANIFESTA 10 Parallel events program in St.Petersburg with my project Skyward - till 3 August. more info here. 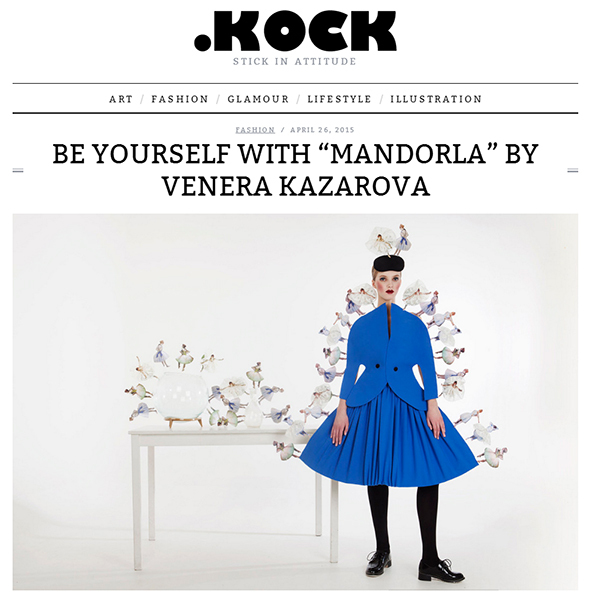 new shoot - designers for Lookatme. enjoyed the company of talented people! see more here and here. 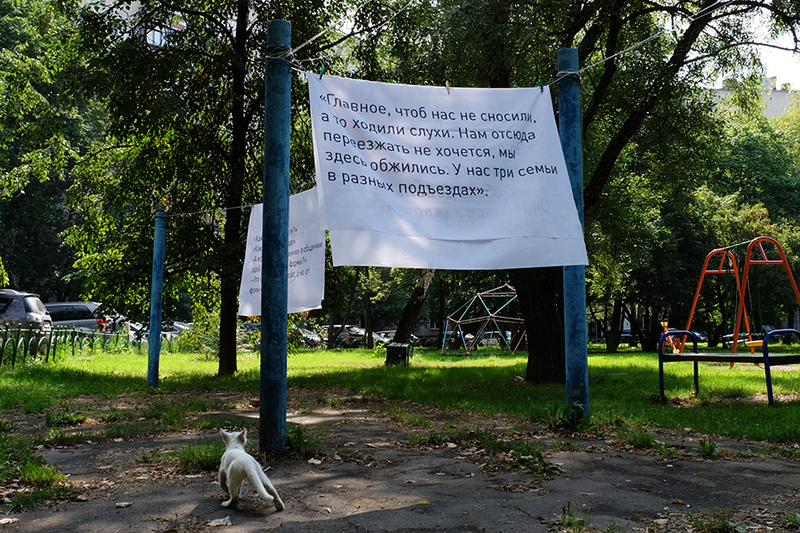 for the exhibition «We-ll-timed» (Fotodepartament gallery, St.Petersburg, till 31 August) i've made a magic navigable carpet called "Recreation". more info about the project. 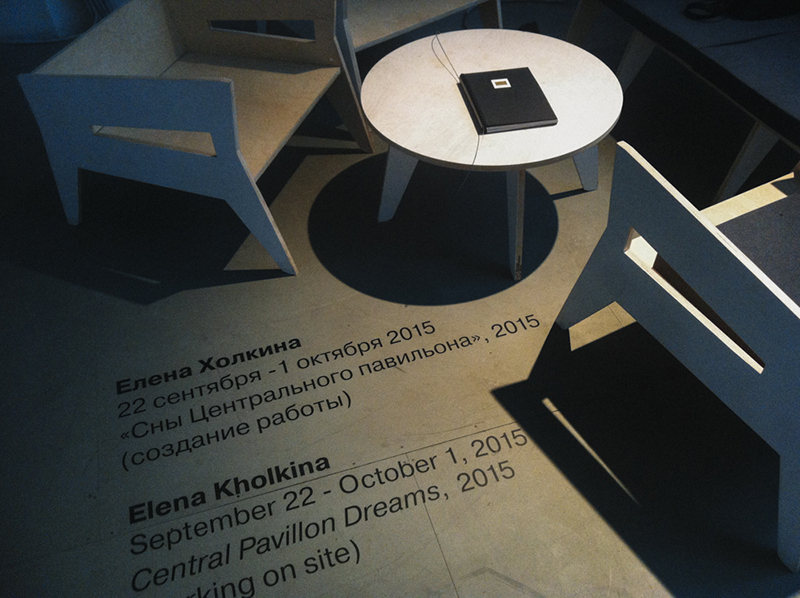 Strelka Institute and the Space pavilion, VDNKH Moscow. 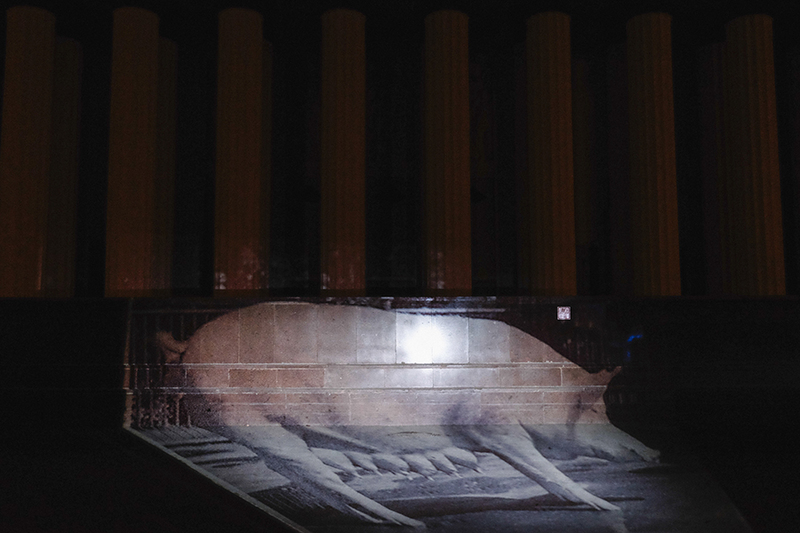 see more projections here. 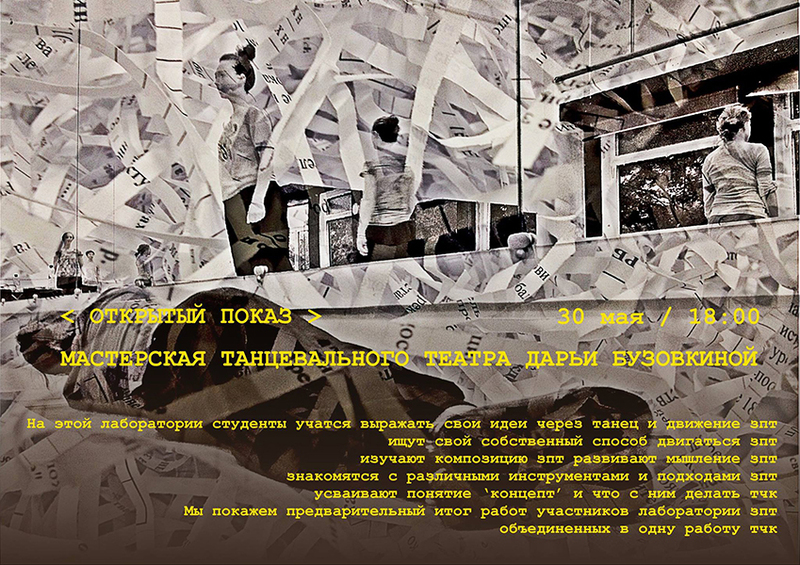 our contemporary dance performance in TSEKH Moscow - on 30 May. 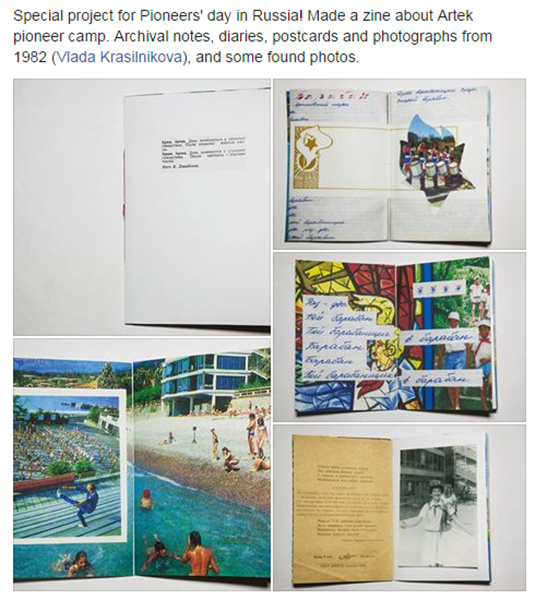 new hand-made zine about Artek camp in the Crimea! more info and order here. 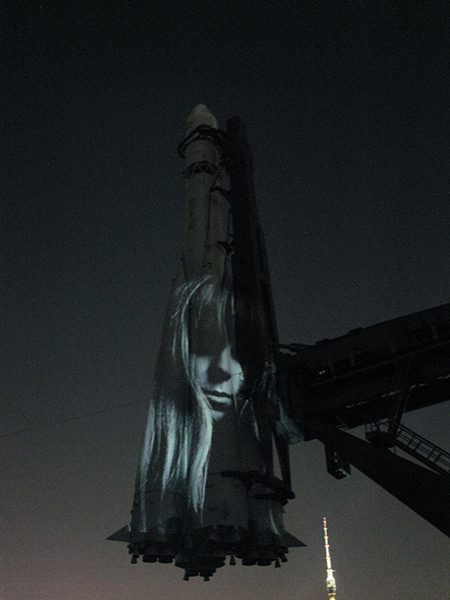 with the project Don't trust your eyes (photographs, projection and dance). 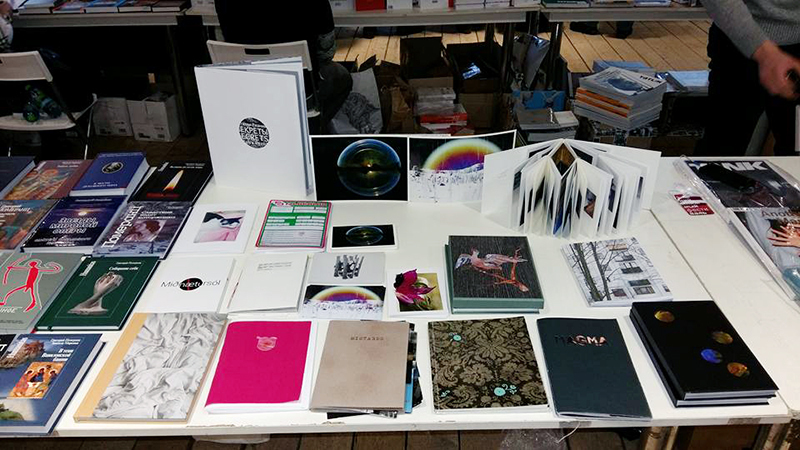 my books are taking part in Self Publish Riga! thank you Fotodepartament for looking after them! 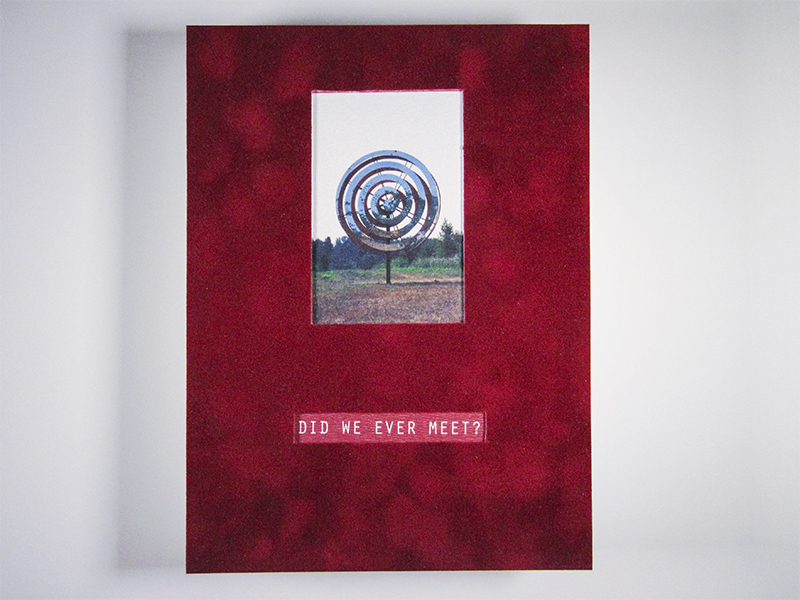 Calvert Journal is running a story about Did we ever meet? 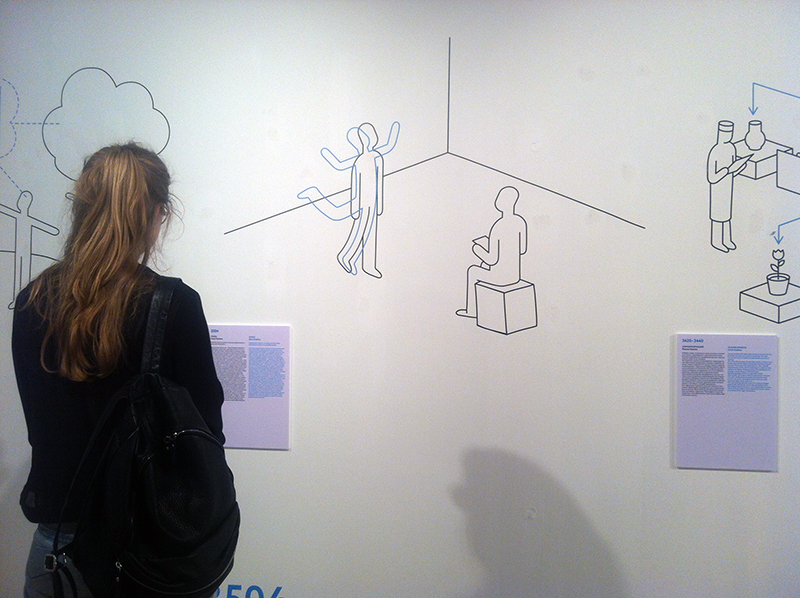 our student exhibition in ICA Moscow till 27 Dec - in Sretensky boulevard, Ilya Kabakov studio. Did we ever meet? 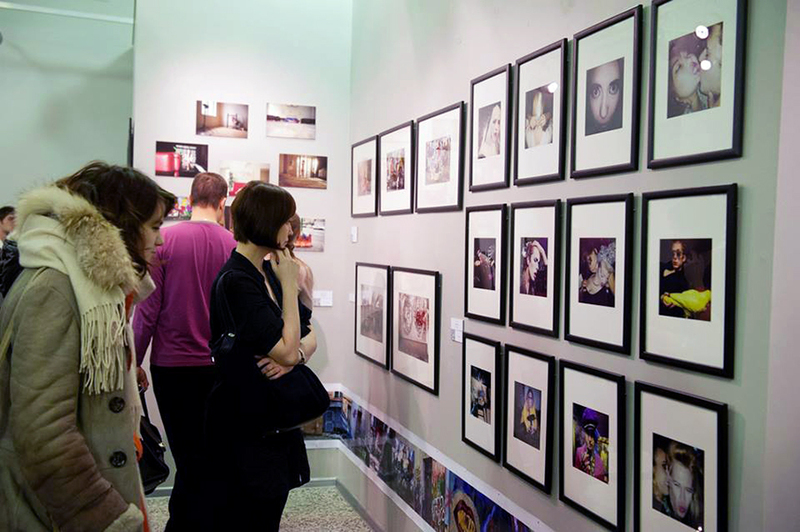 is on view in St.Petersburg till 20 January! 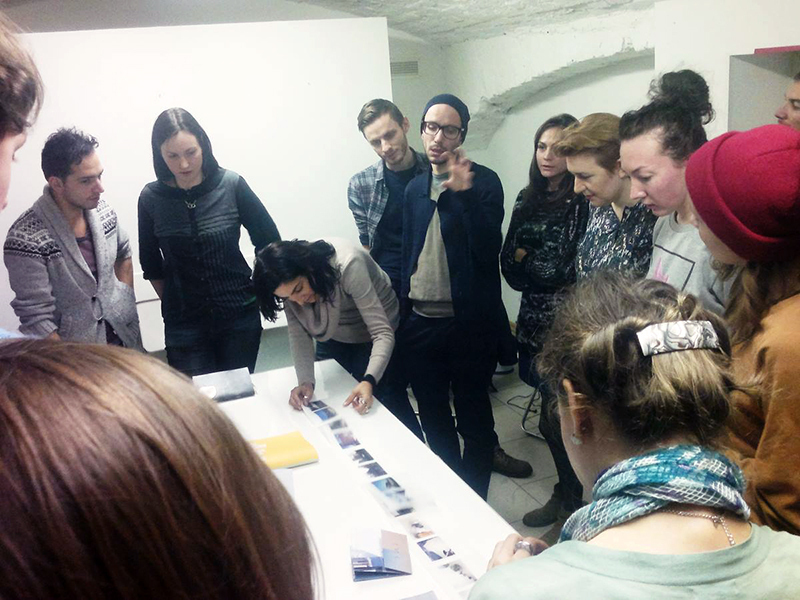 this has been a fantastic workshop with FOAM magazine in St.Petersburg! a big up to Fotodepartament for organizing it! coolest news ever is that "Did we ever meet?" won "Rock your Dummy!" contest in Paris!!! 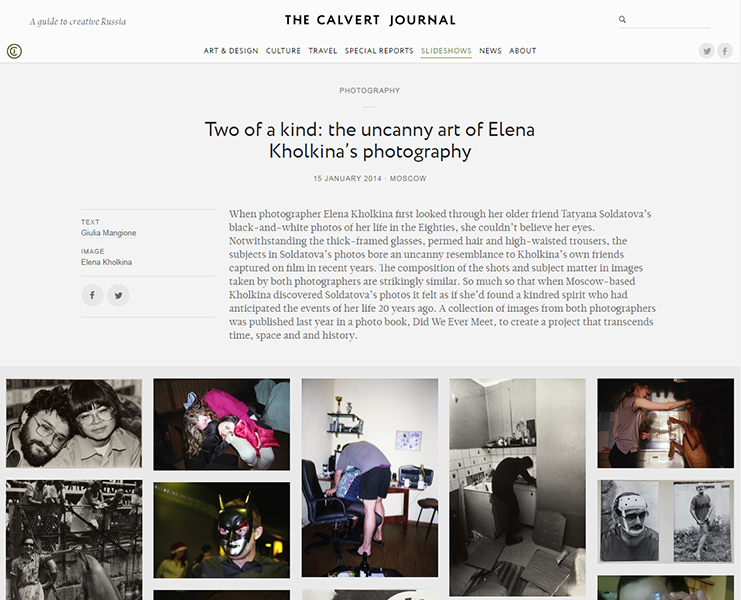 more info in the Calvert journal and at Le Photobook Fest website. thank you so much, Nathalie! 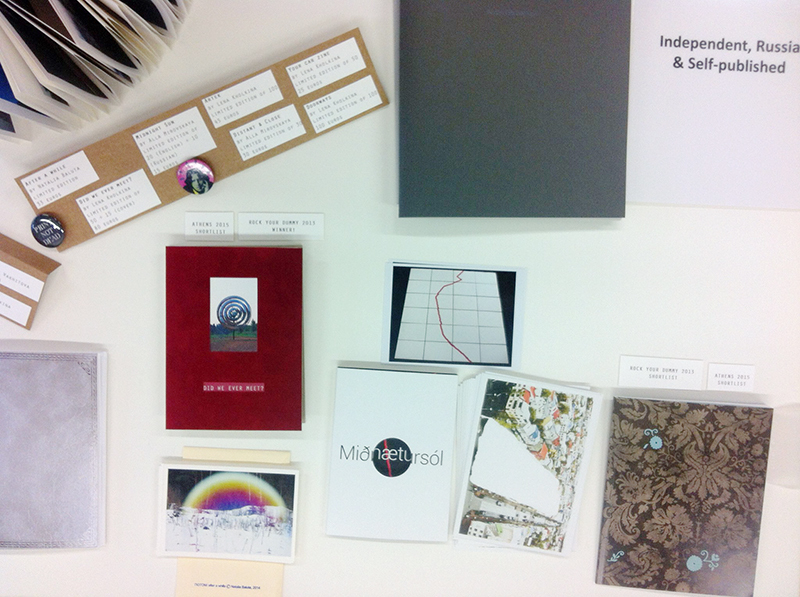 earlier Tanya Palyga wrote a blog feature about the book for Der Greif magazine. check it out!